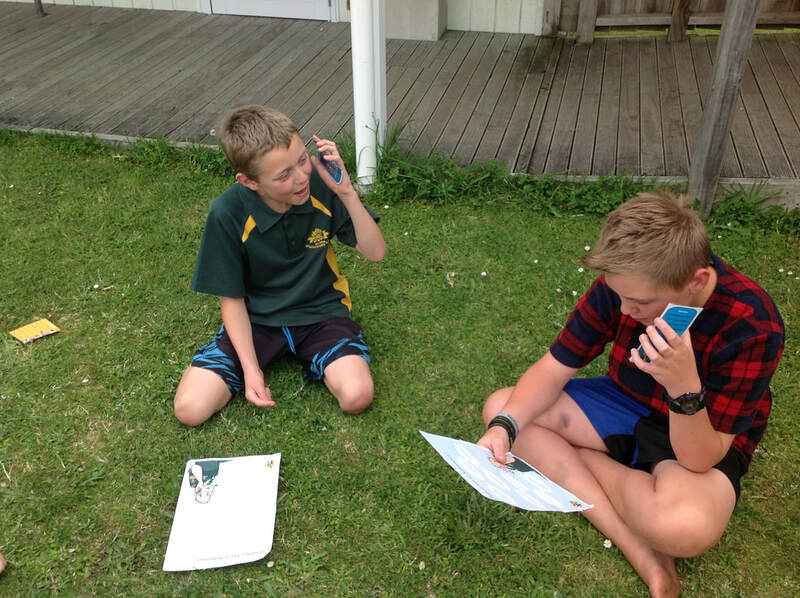 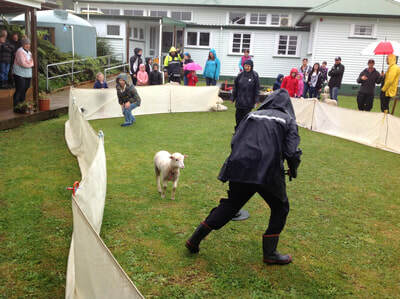 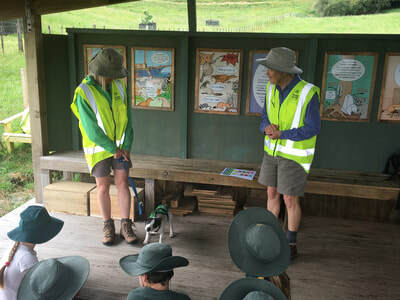 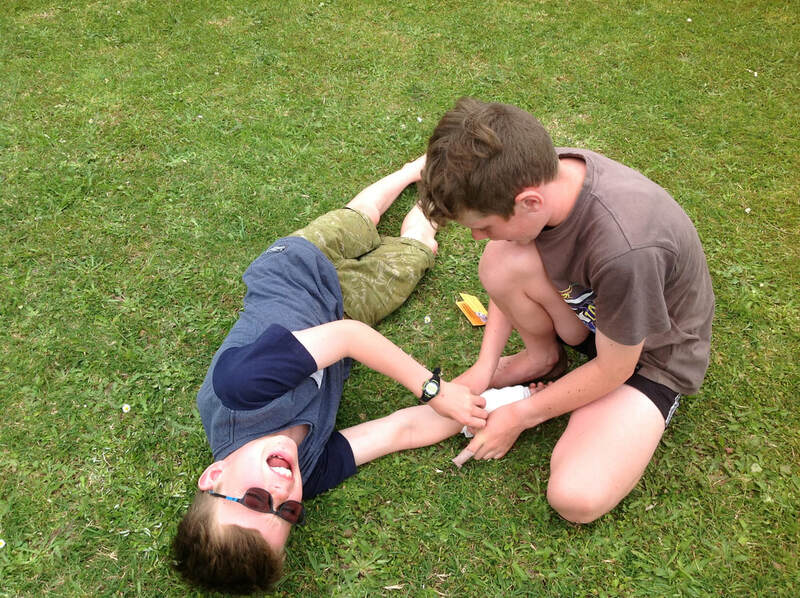 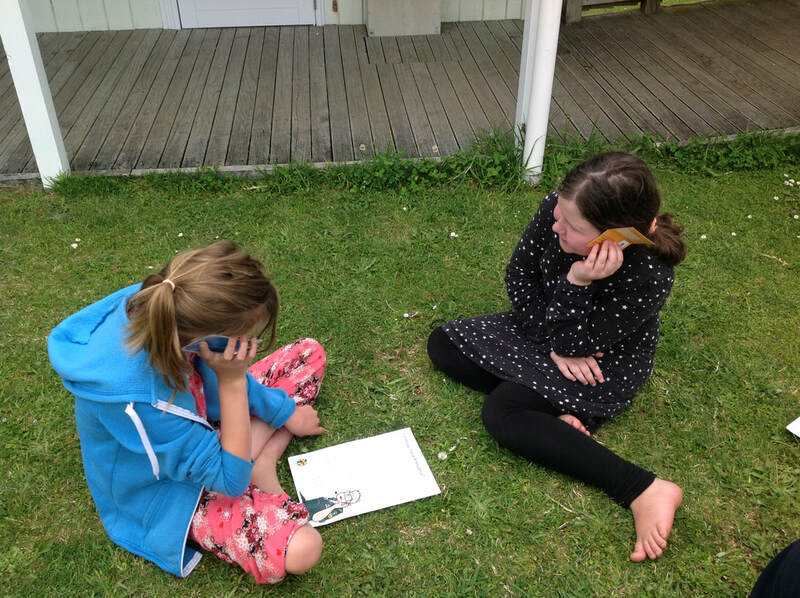 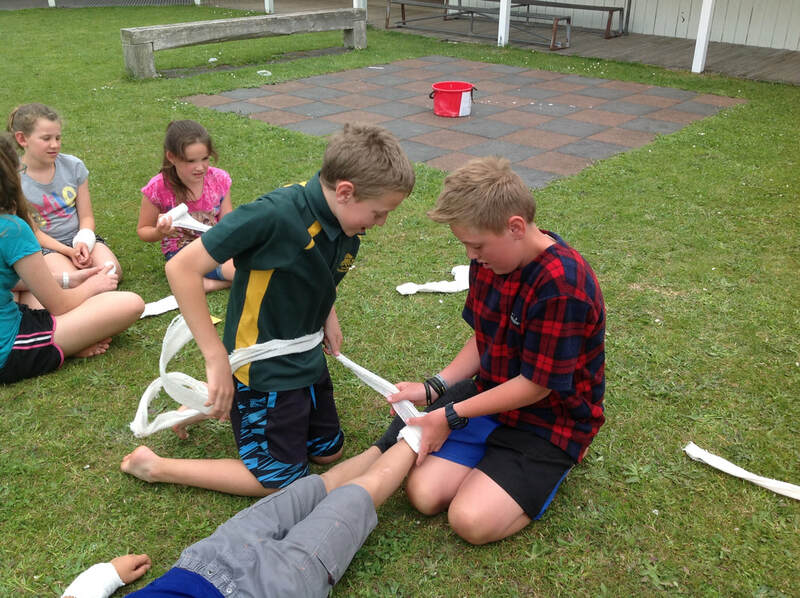 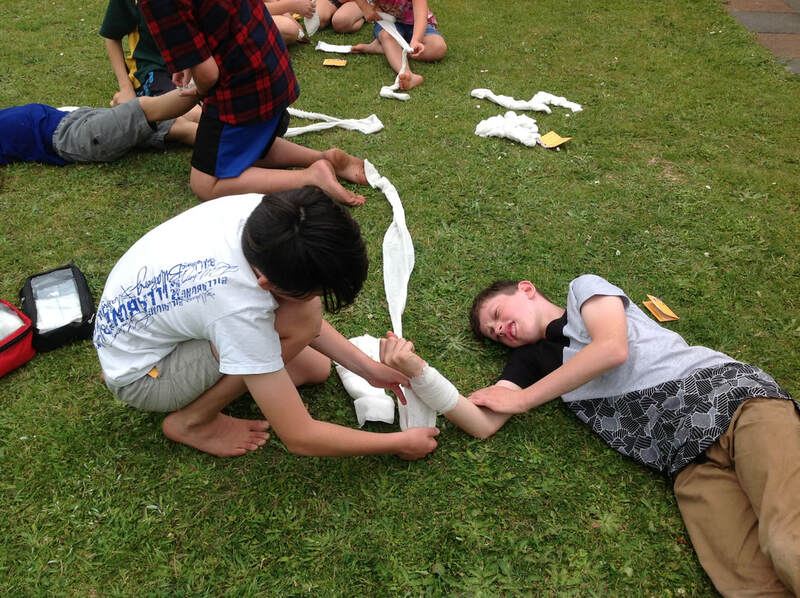 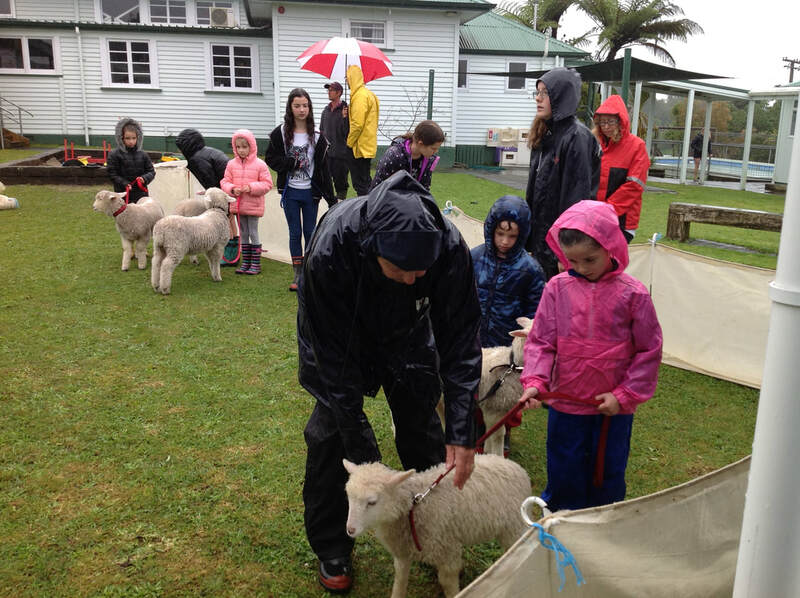 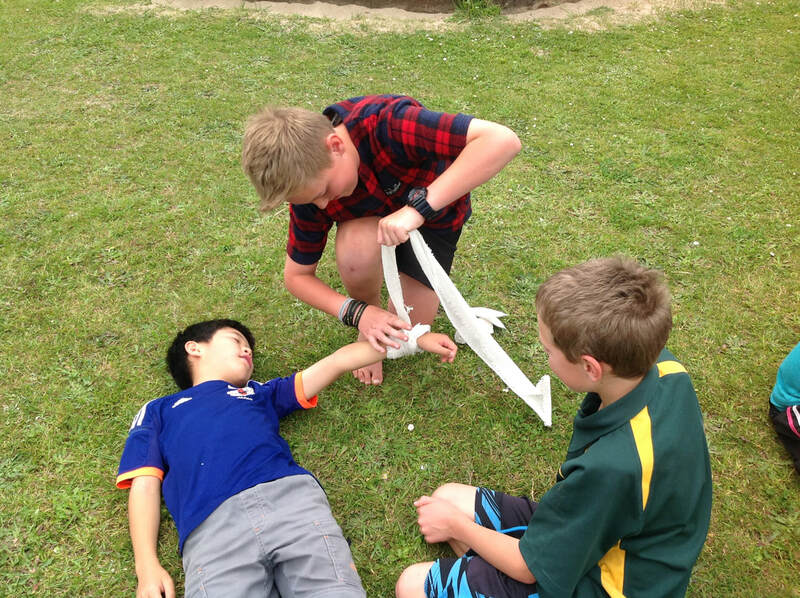 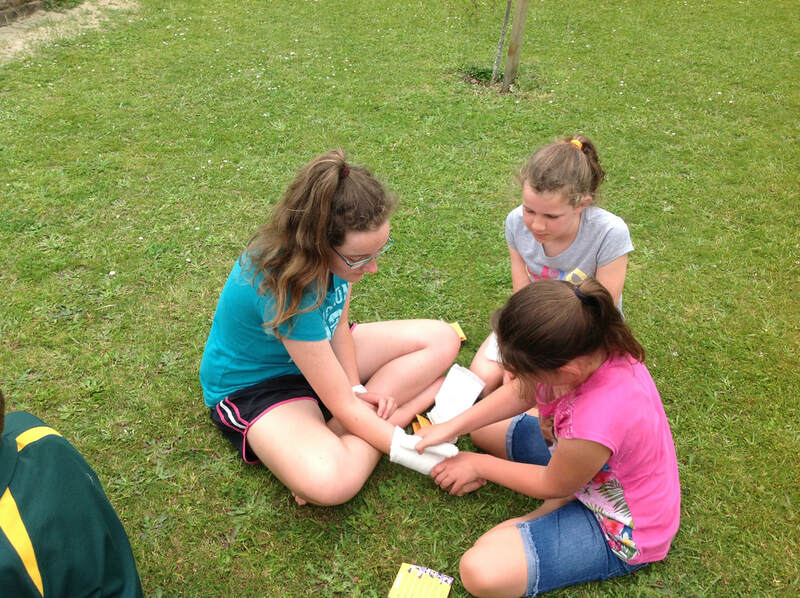 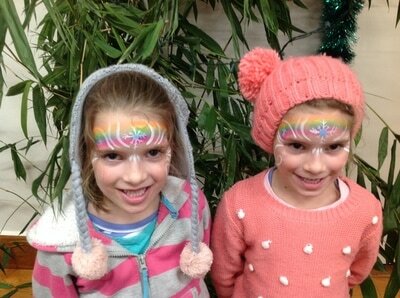 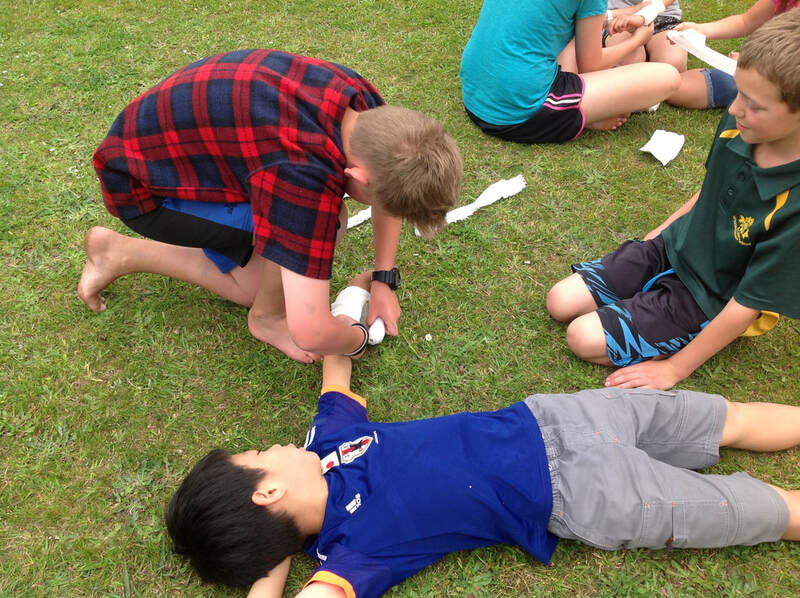 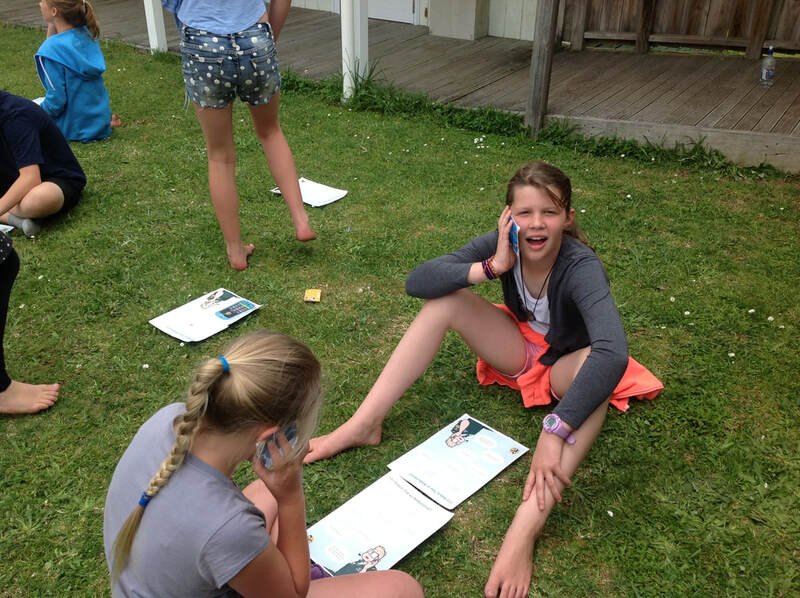 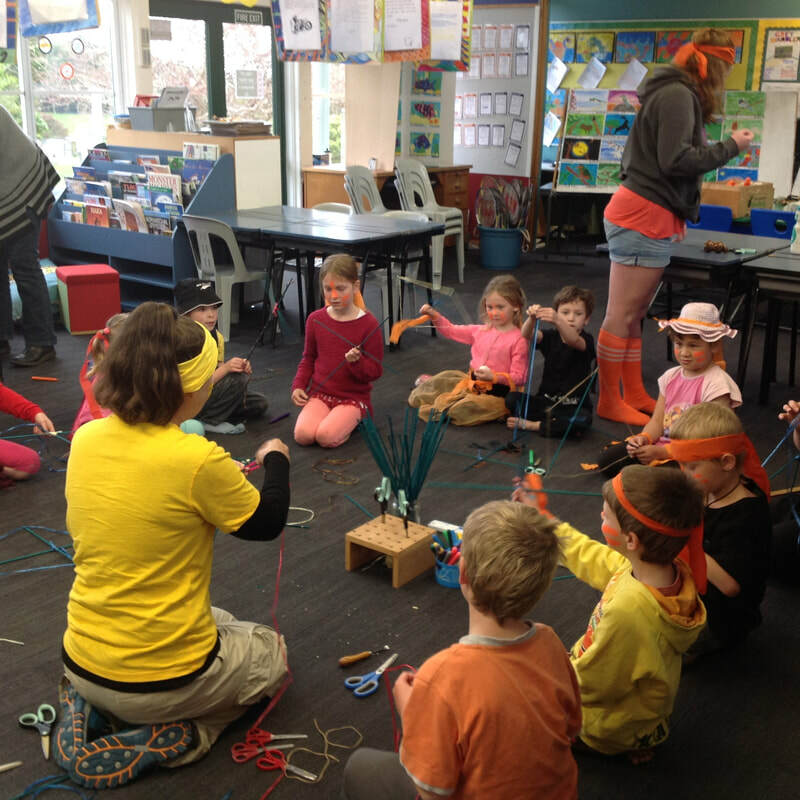 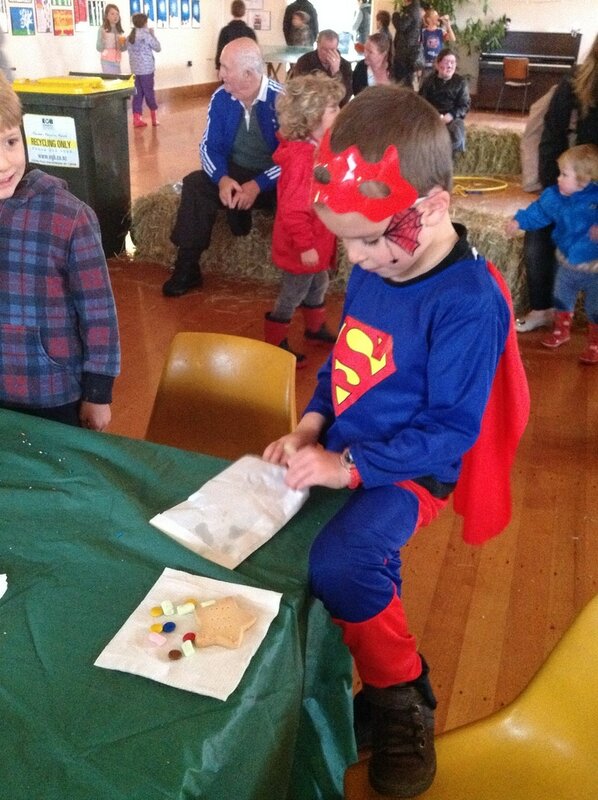 Camp for Rooms 1 & 2 was held in Waitomo from 12th -15th December. 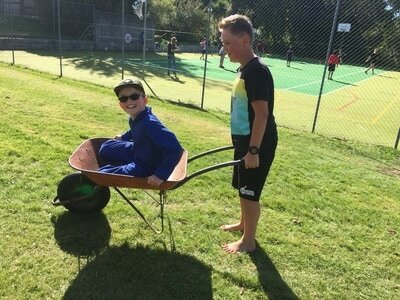 There is no doubt that this had to be one of the highlights for 2017. 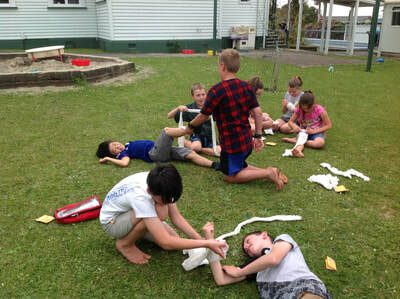 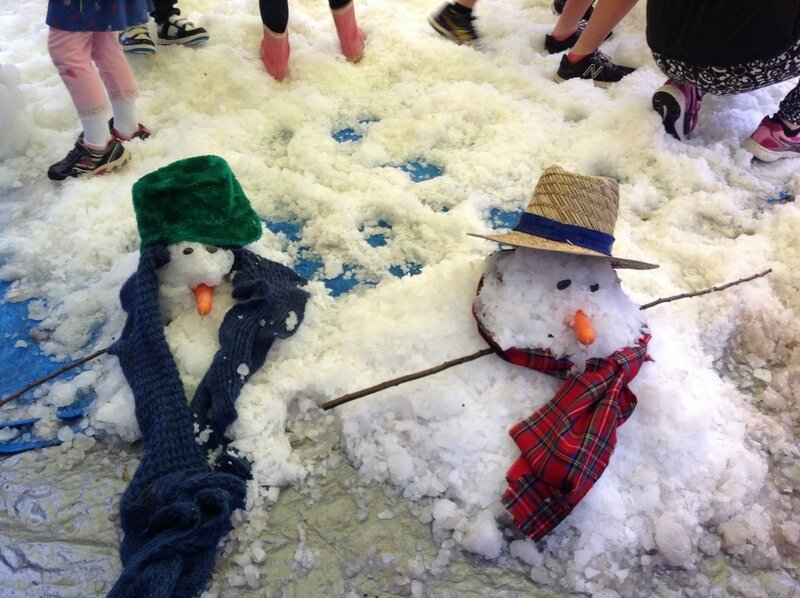 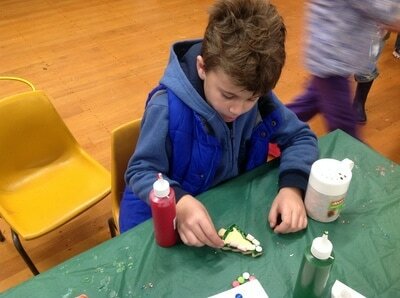 How lucky were we to have four packed days of new activities and learning experiences? 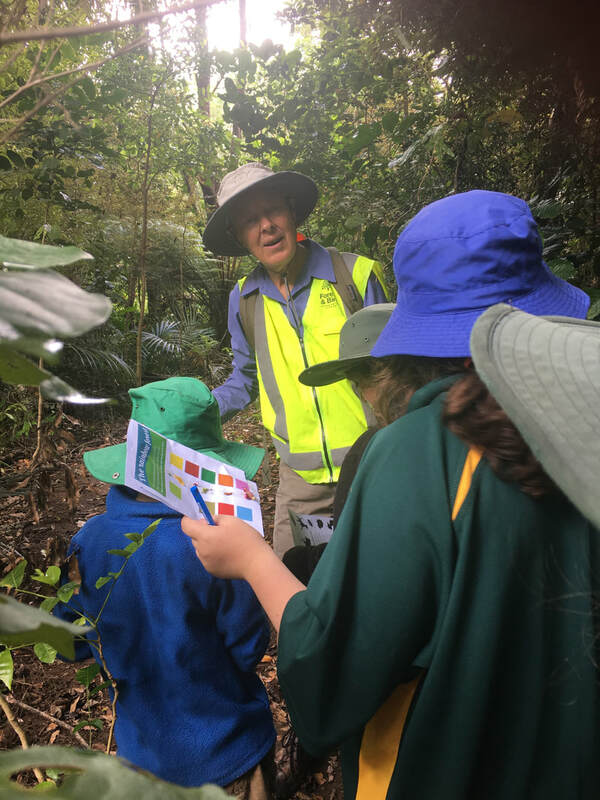 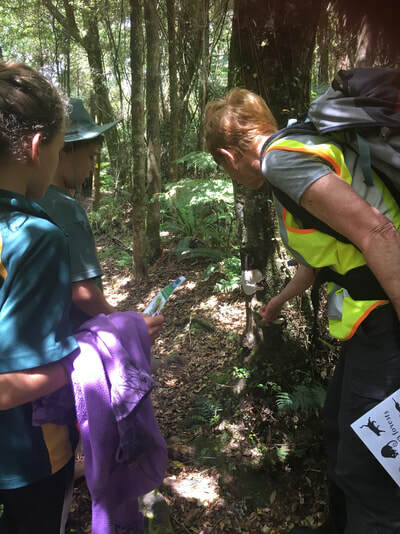 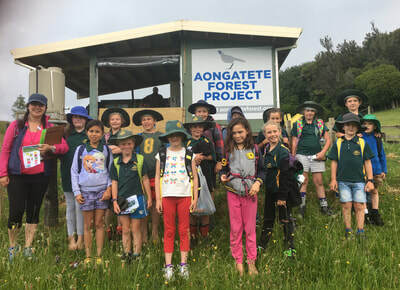 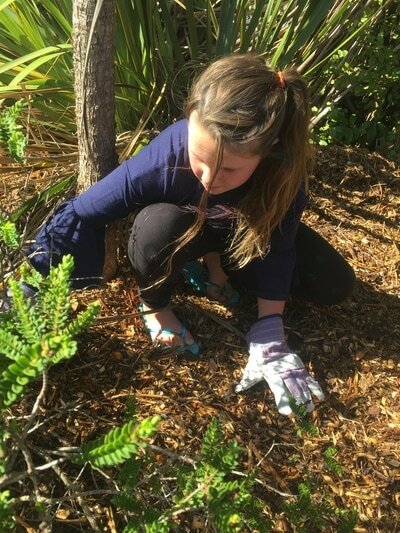 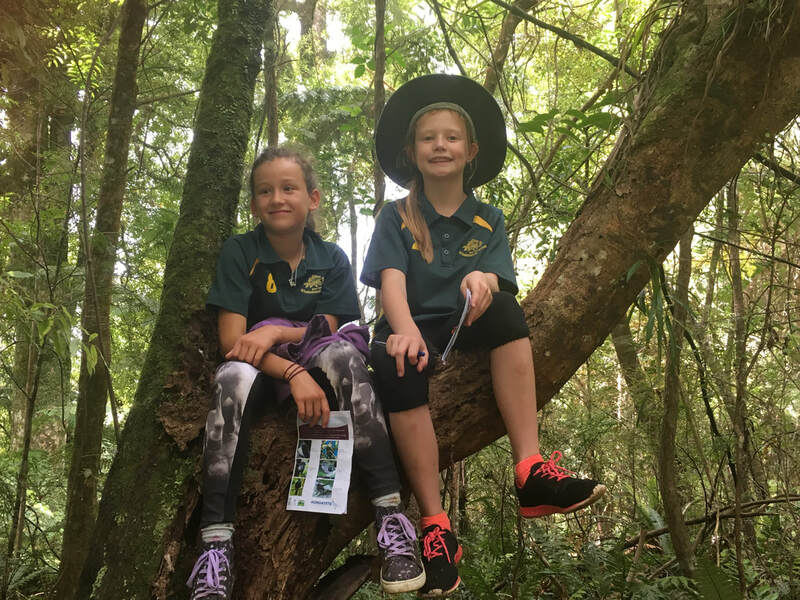 Room 2 were privileged to be able to explore the conservation forest project of Aongatete Forest in Katikati. 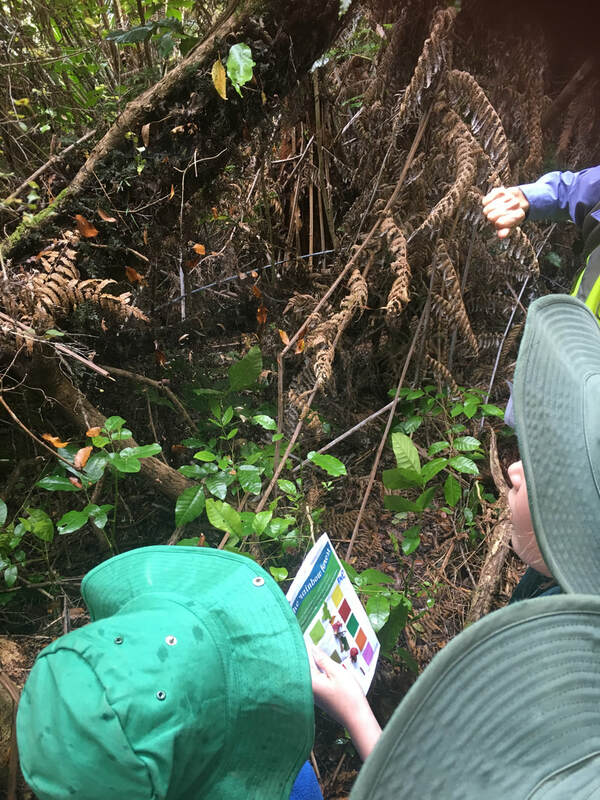 With a group of wonderful volunteers they were able to walk through the forest and see many beautiful plants and animals. 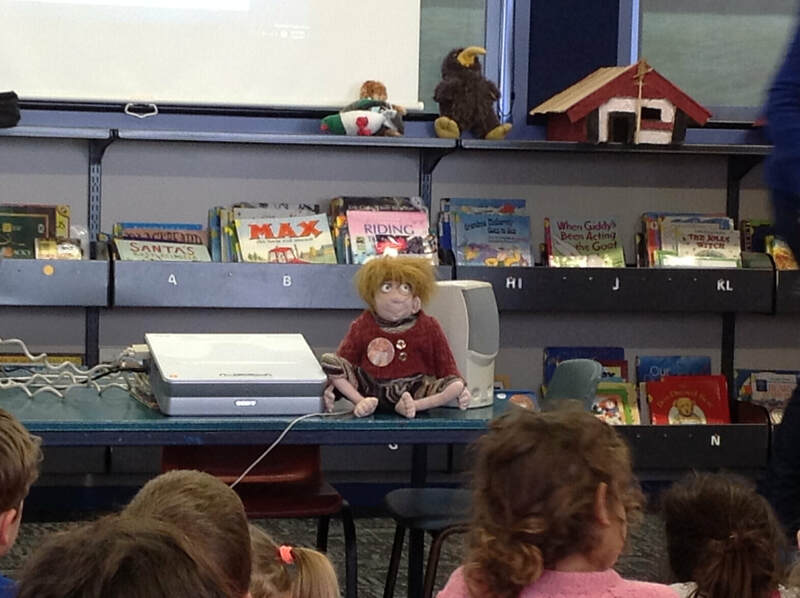 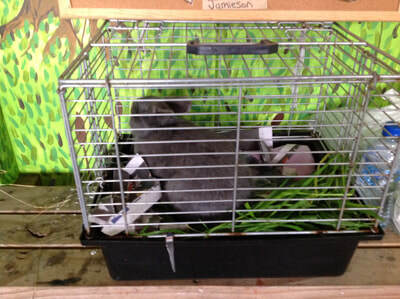 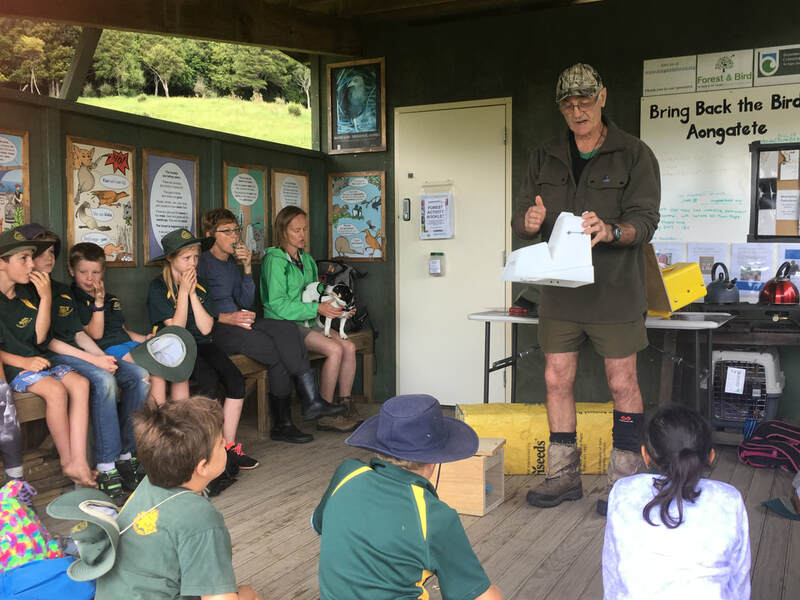 Learning about the conservation efforts was inspiring and the possum / rat traps were very intriguing. 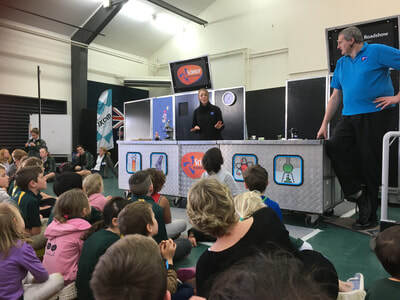 The ASB St John in Schools’ programme provides learning experiences for pre-school, primary and intermediate school aged children to empower them to act in an emergency. The programme values children of all ages and recognises their ability to make a difference in an emergency situation. A community educator visited us on Friday 24th November to provide our students with the skills and confidence to take action in response to an emergency situation. 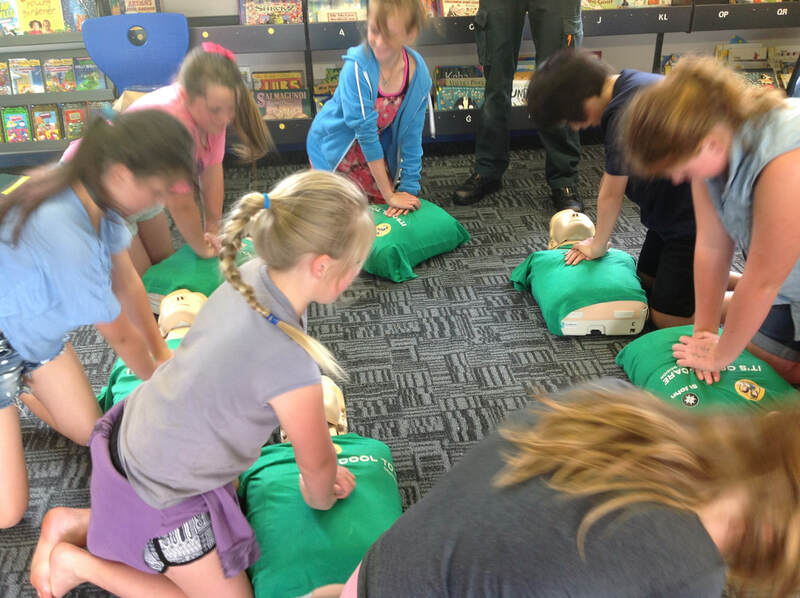 From recognising and matching emergency scenarios with the correct services (Year 1 & 2) to demonstrating the assessment of patients using DRSABC and take appropriate action (Years 5-8) our students walked away with some invaluable knowledge. 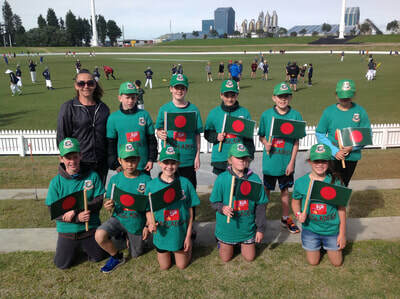 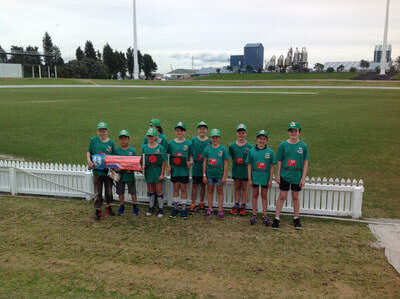 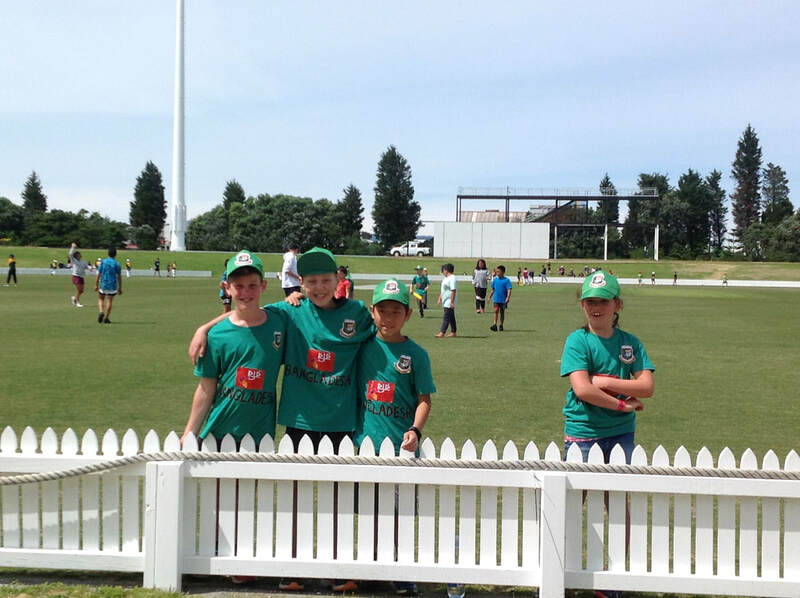 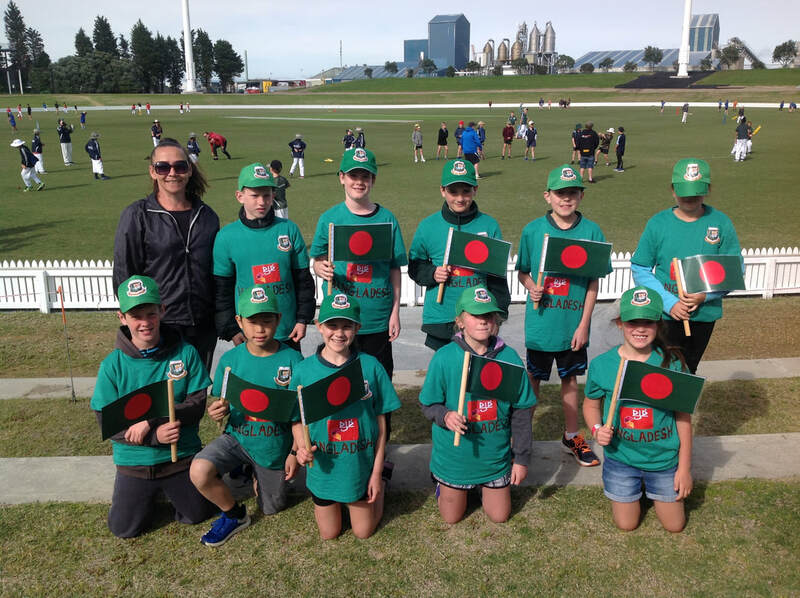 On Friday 10th November, ten Year 5/6 pupils took part in the successful Cricket Mini World Cup annual event run by Bay of Plenty Cricket. 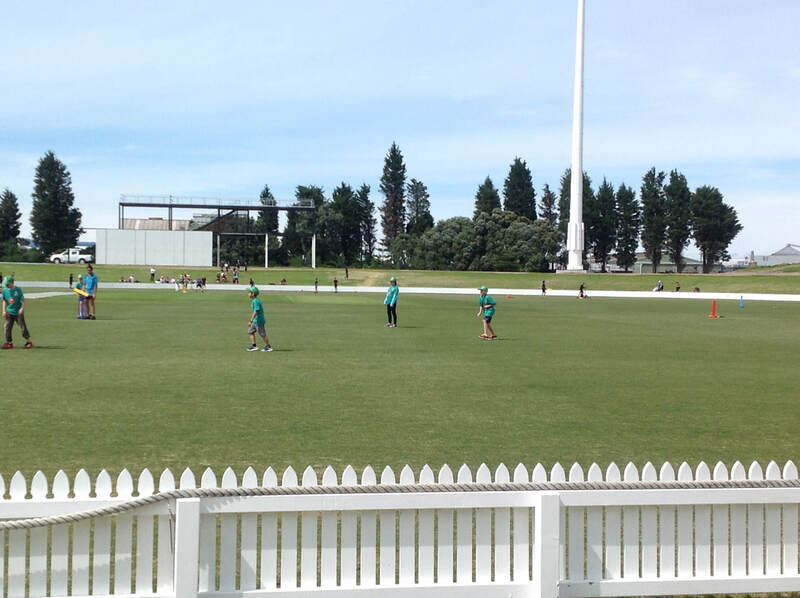 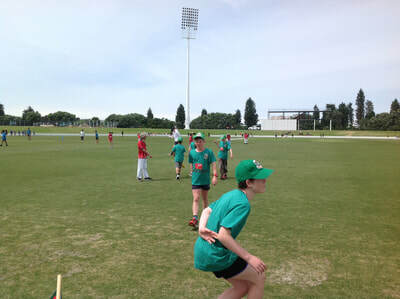 The event took place at Blake Park, Mount Maunganui with schools coming together to test their cricketing skills against one another for the right to lift the Mini World Cup. 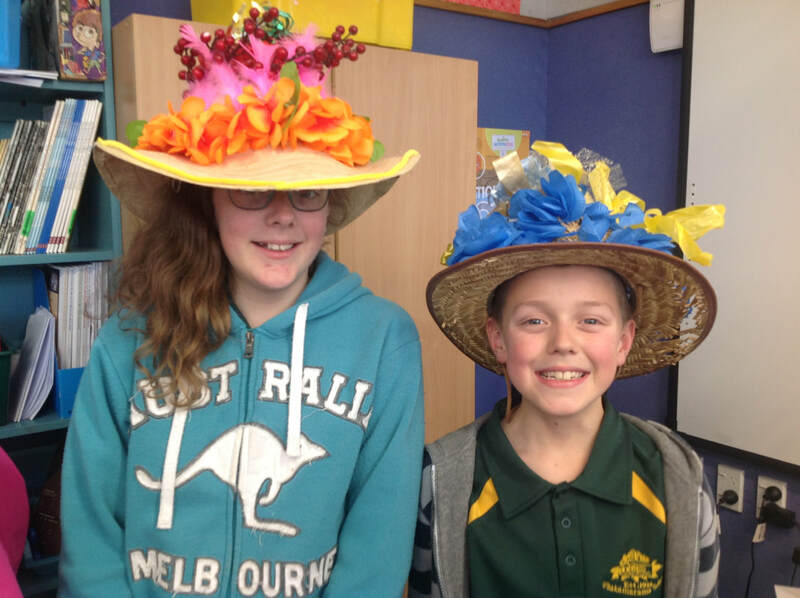 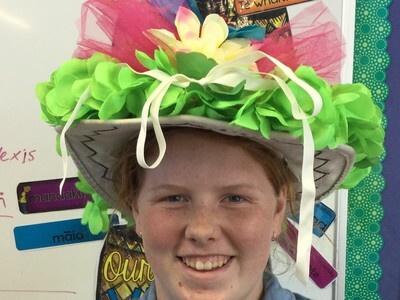 Wearing the hat of both teacher and principal, it was a pleasure taking this group out for the day. 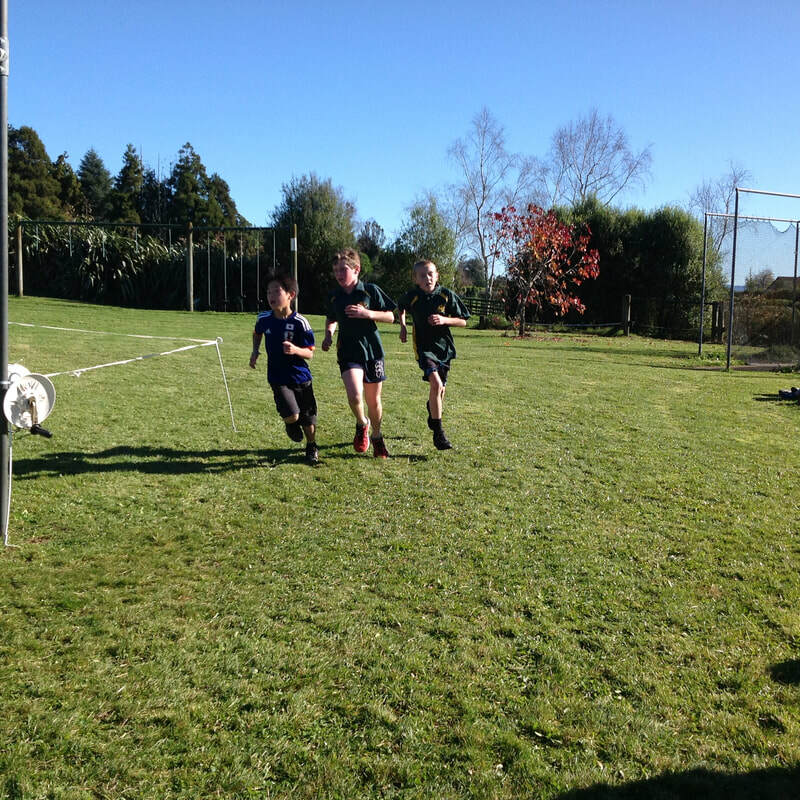 They united as a team, were positive team players and represented their school with integrity and pride. 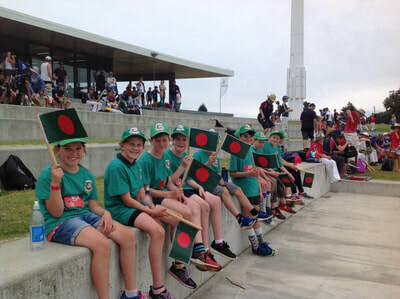 With lots of action, giveaways and fun, it was a festival day that will be kept on the cards for future years. 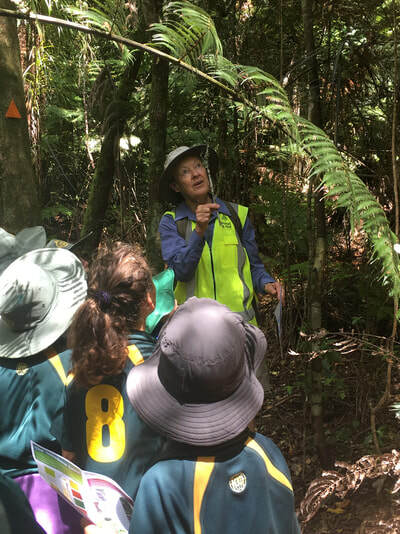 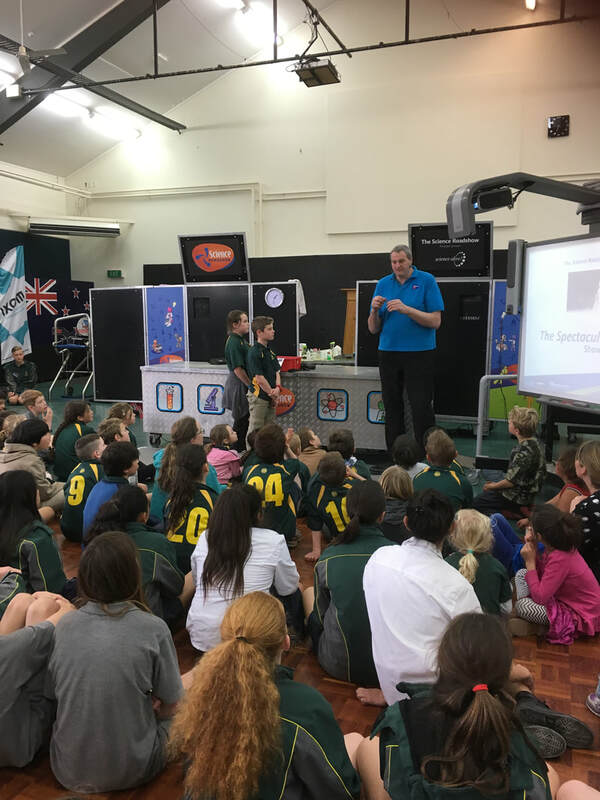 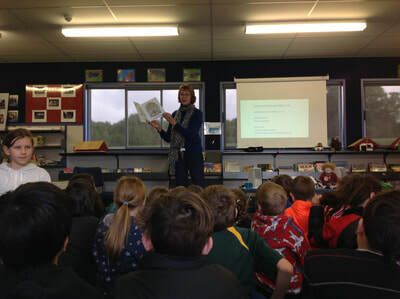 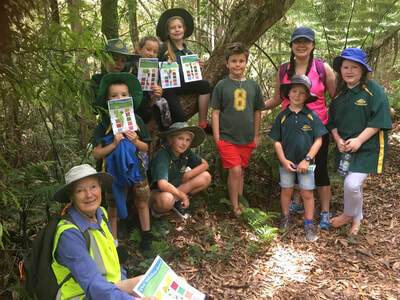 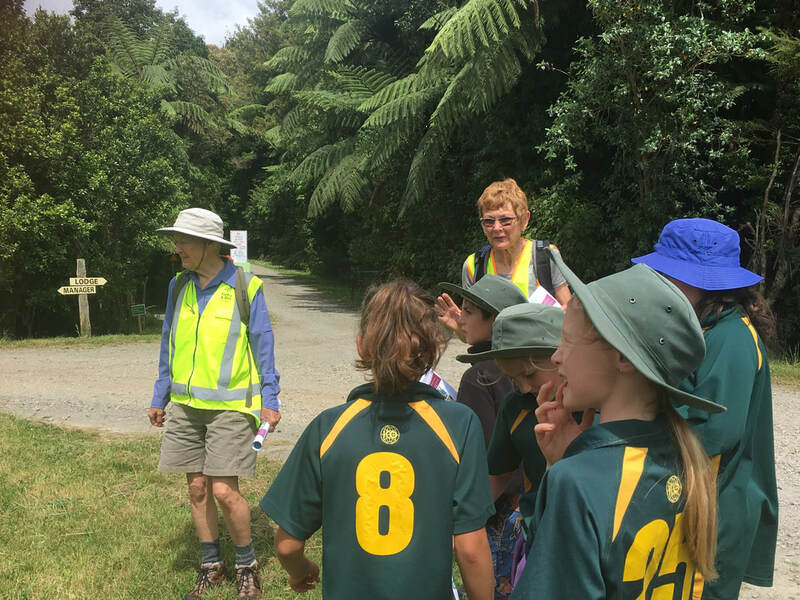 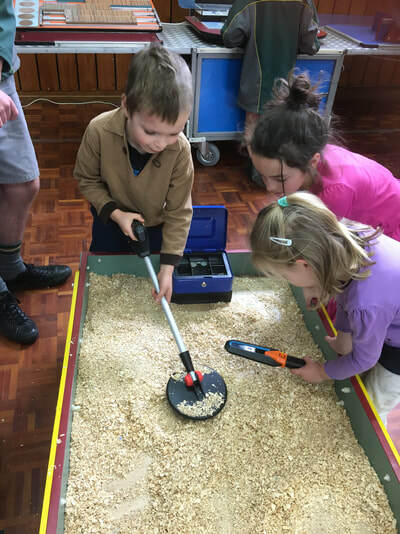 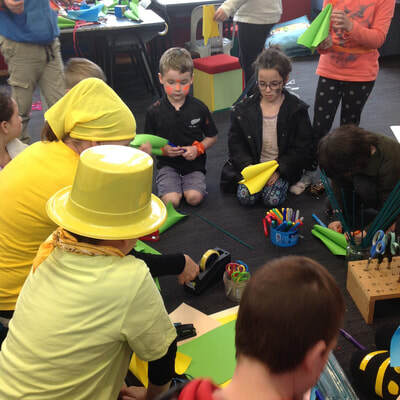 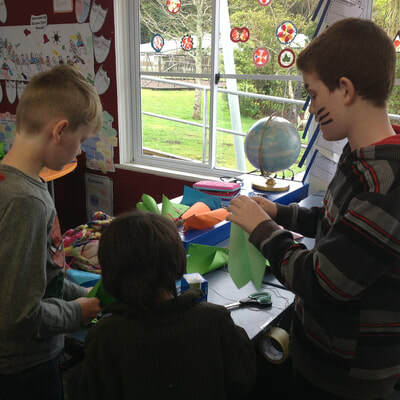 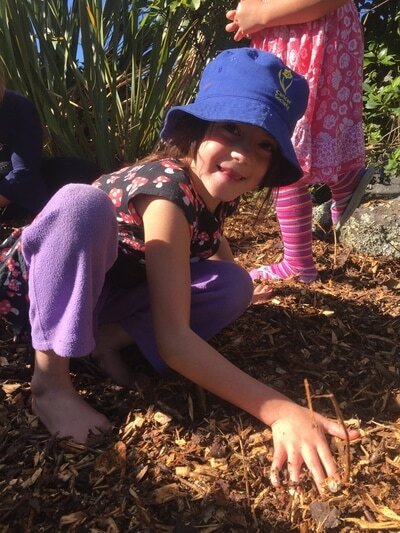 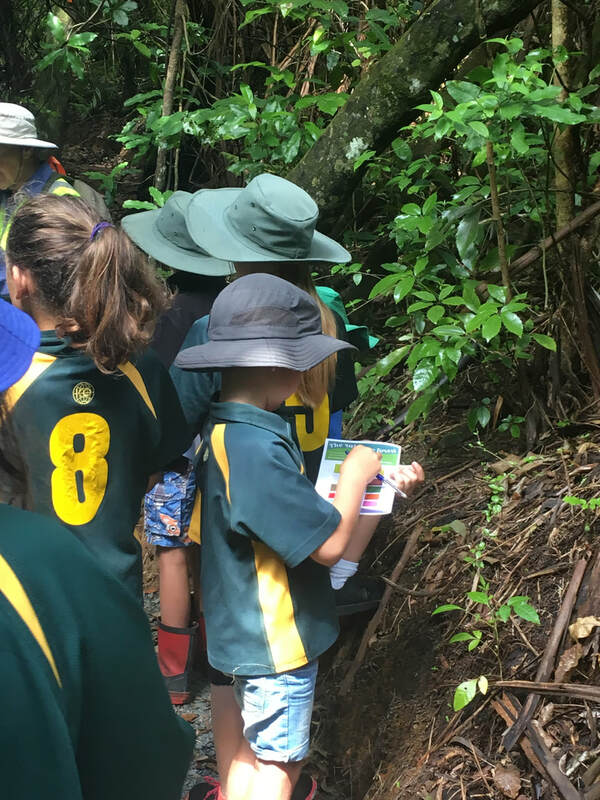 On Thursday 9th November, students from around the Bay of Plenty learned about water quality and how they can contribute to protecting the region’s waterways. Ten students from Whakamarama School attended the 2017 Hands on Water Expo at Redwood Valley Farm in Te Puke. 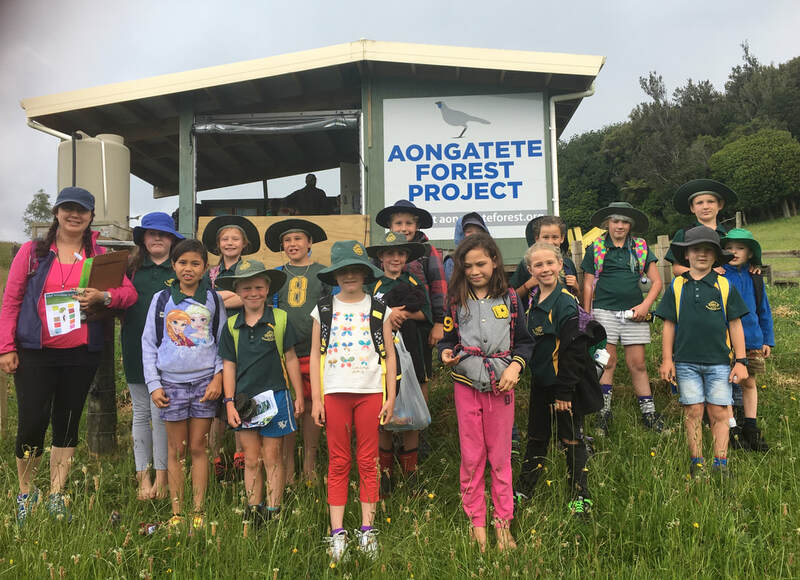 The students experienced a range of water quality and water conservation activities, and gained skills they can use in their community. 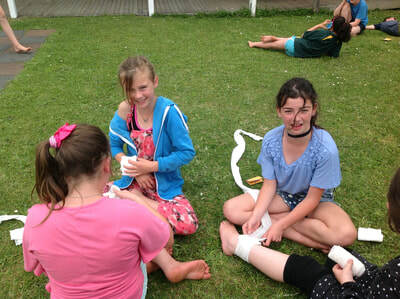 Our students had a fantastic attitude, got stuck in and enjoyed the day. 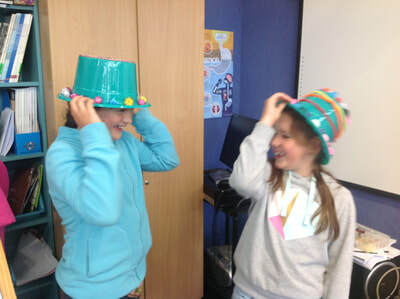 To bring our cultural diversity unit to an end, our open day on Thursday 28th September hosted a range of activities. 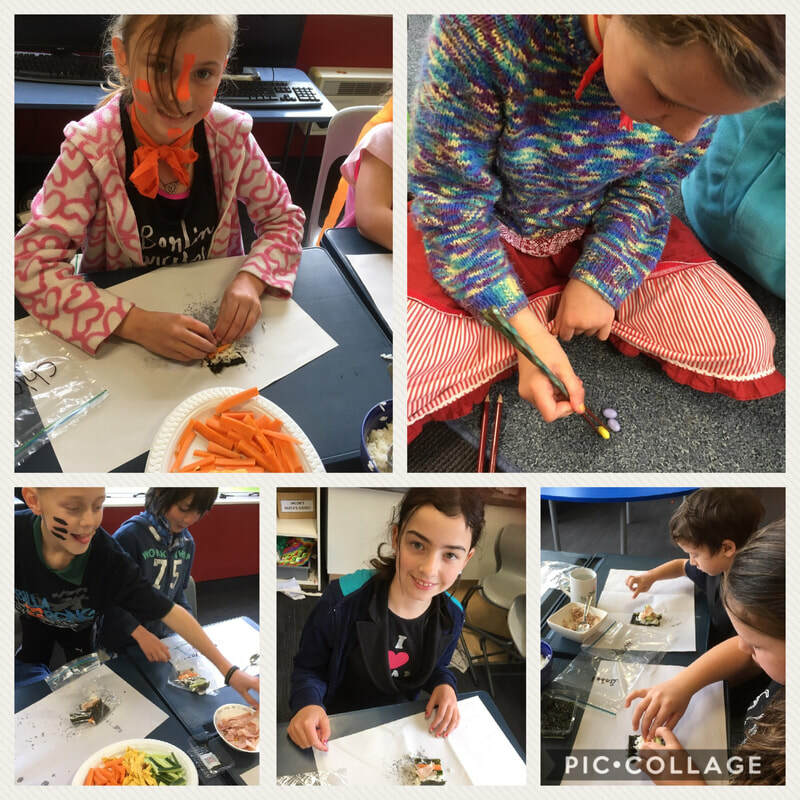 Sushi making was enjoyed by all! 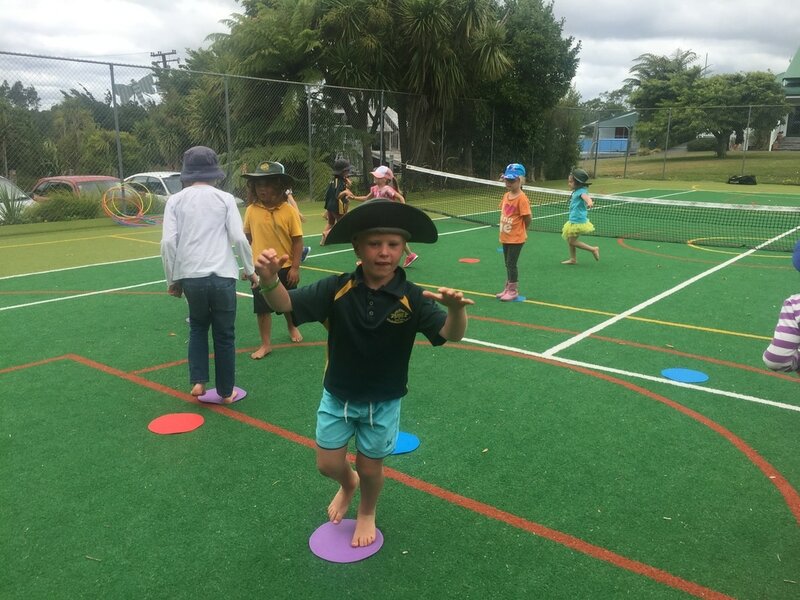 The rain may have pushed us indoors for our tabloid sports but this didn't stop the positive and fantastic participation of students in all the different activities. 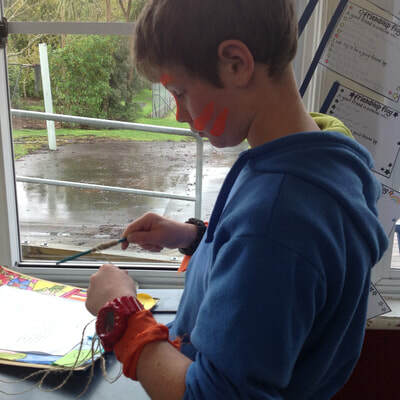 Our school values shone across the afternoon. Kites Around the World - Kites are made and flown all over the world. 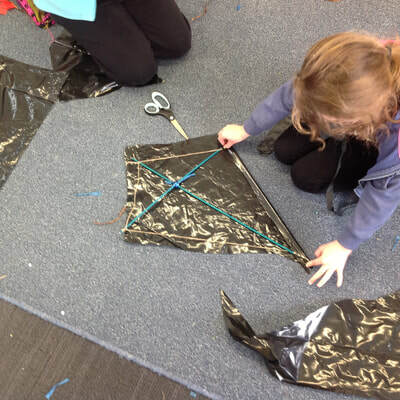 What are the possible uses for kites throughout the world? 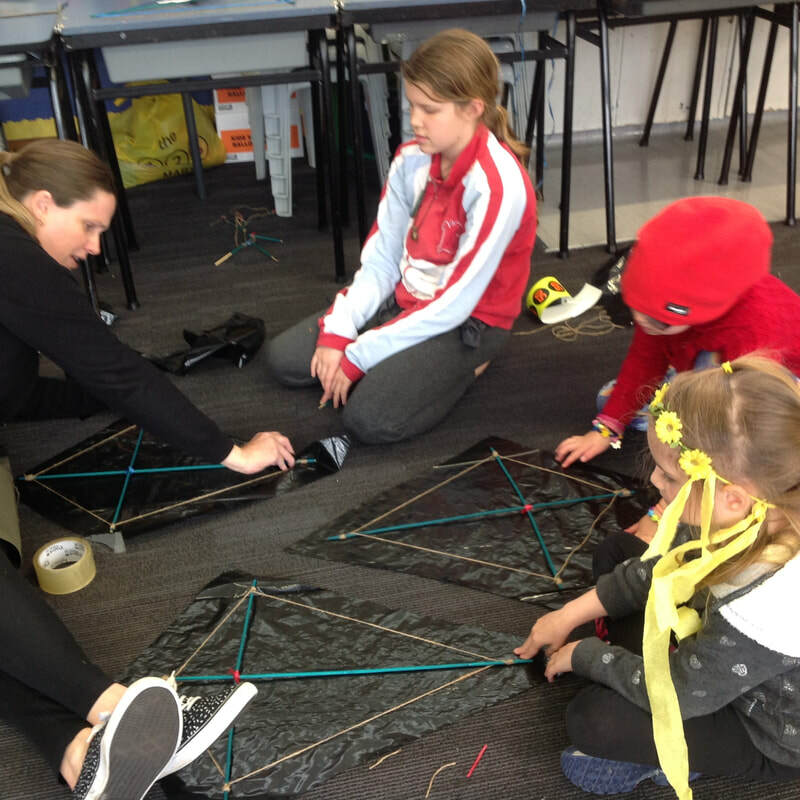 Can you name a country that has a kite festival? 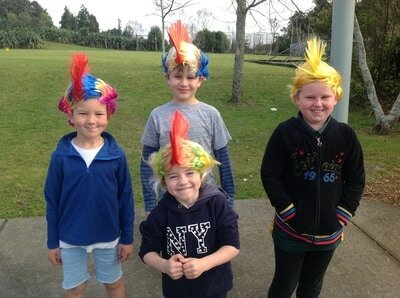 Why do they have these festivals? A big thank you goes to the Te Aranui Youth Trust, Blue Light WBOP and our Community Constable for the awesome ‘Blue Light Bangers’ on Wednesday 20th September. 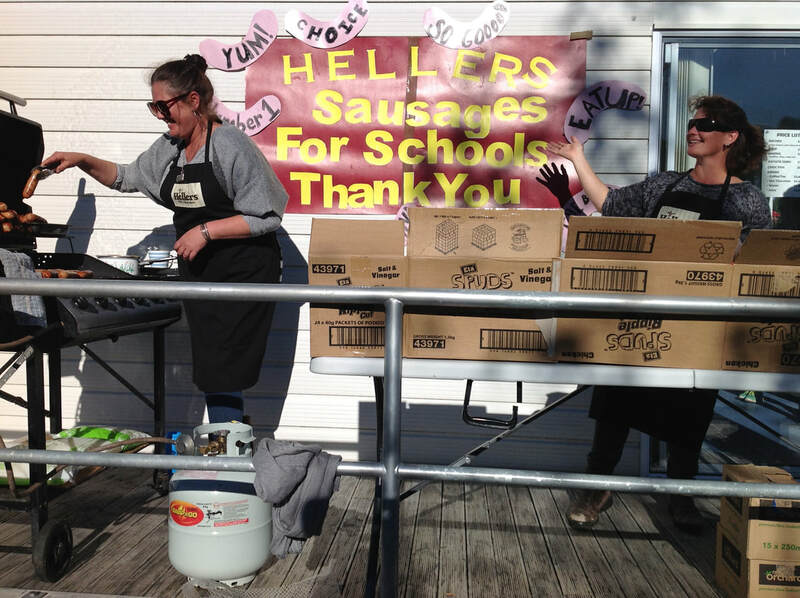 The sausages offered enhanced the lunches brought to school and were very much appreciated by all who opted to supplement their lunch. It was wonderful to see the team interacting with students. Imagine playing the game cops and robbers with real cops. 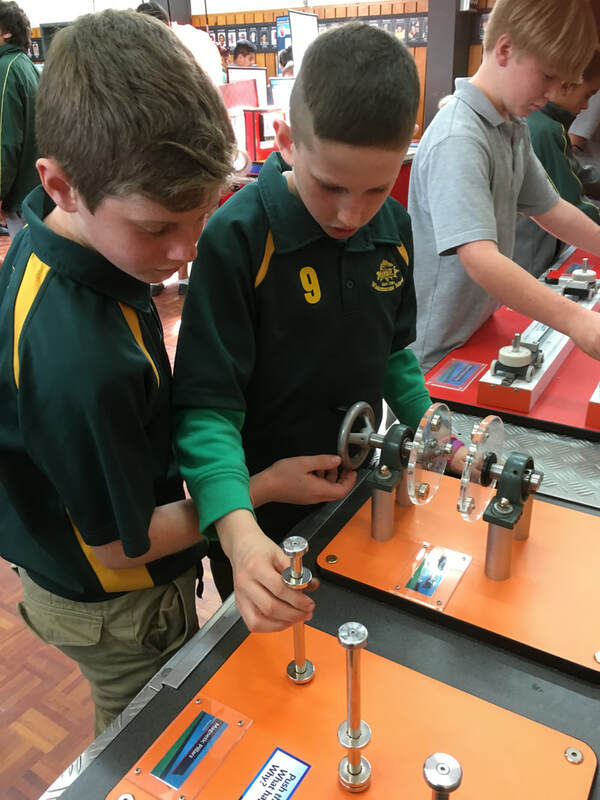 Our students found that pretty cool! 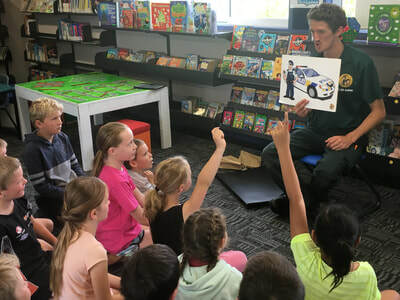 Not to mention being able to sit in a police car - the queue seemed never ending. 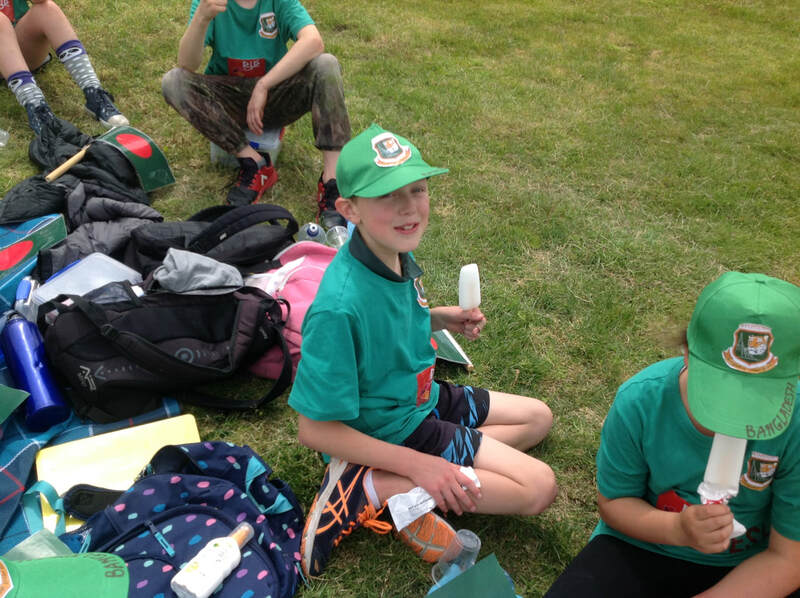 How lucky were we? 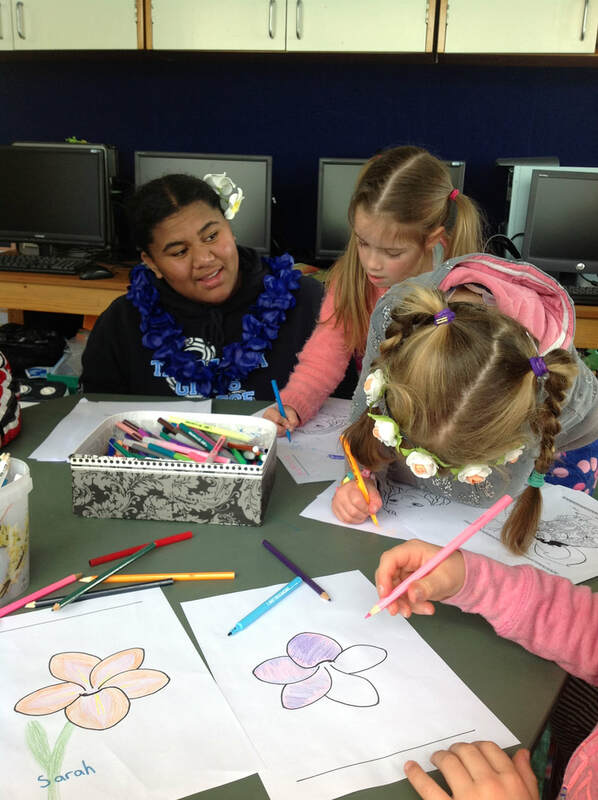 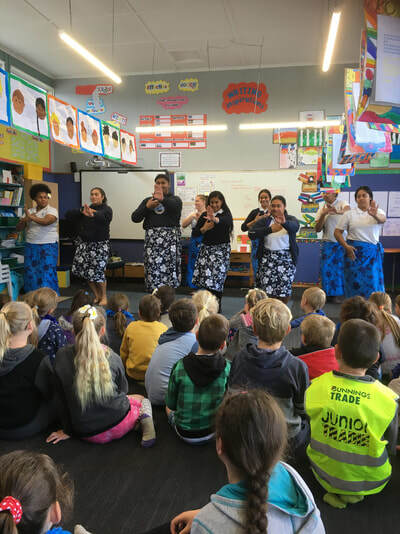 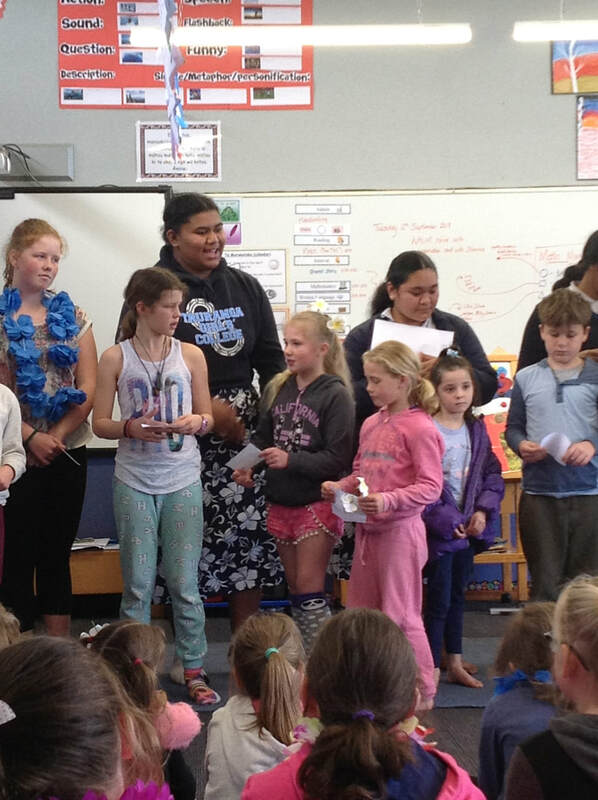 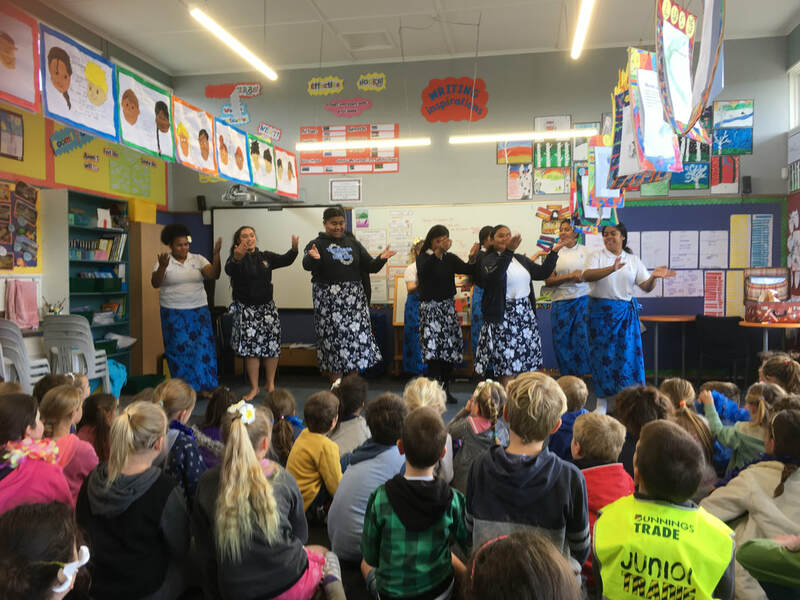 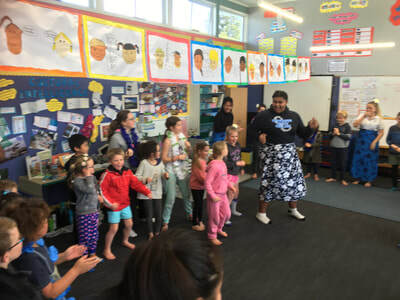 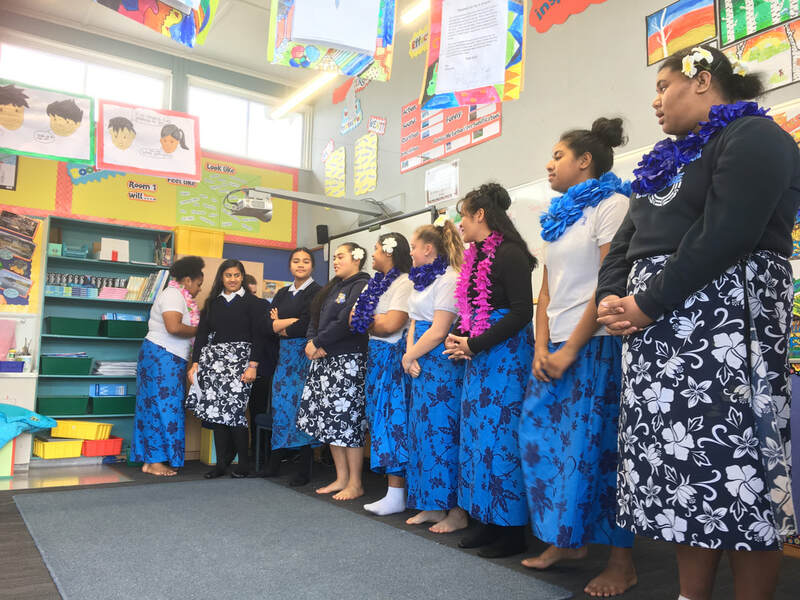 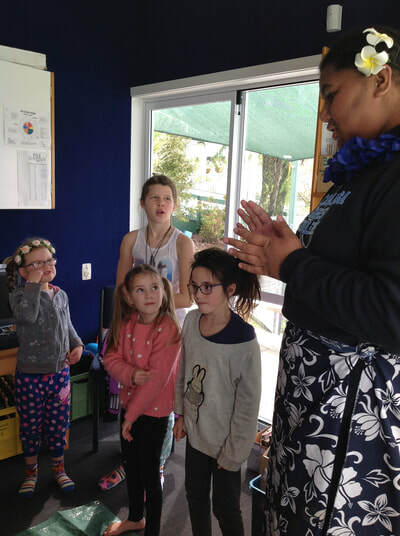 What an amazing visit we had from the Tauranga Girls' College Pasifika Group on the 12th September. Ten vibrant group members performed for our students and organised an array of fantastic workshops. 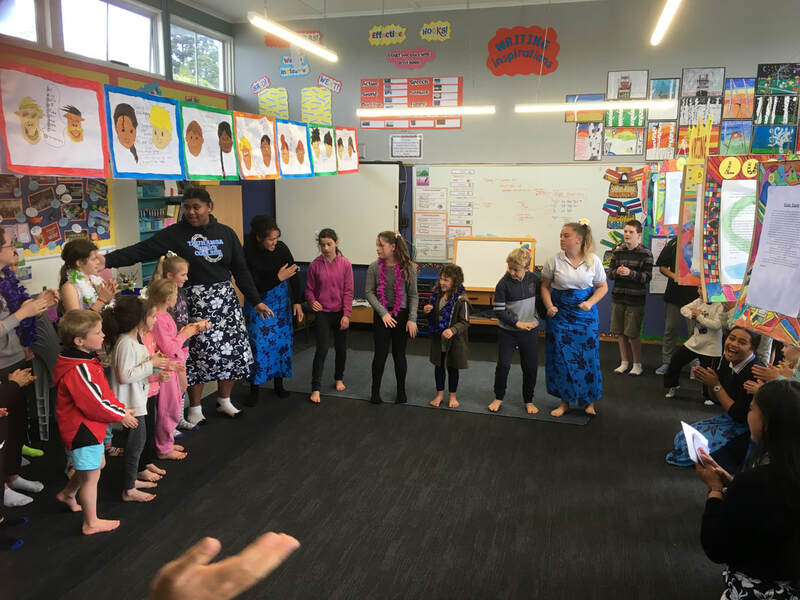 The entire school 'buzzed' for an hour and a half - a rich and rewarding cultural experience that resulted in enthusiasm plus! 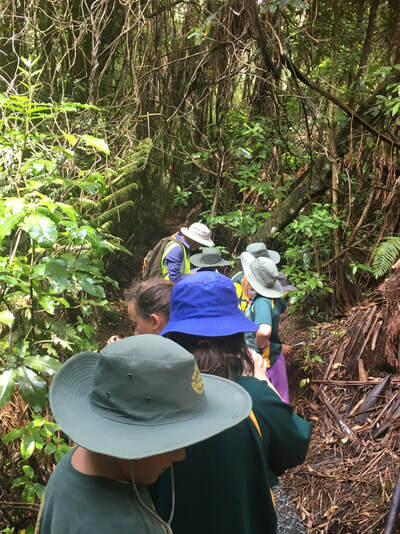 We look forward in having the group join us again. 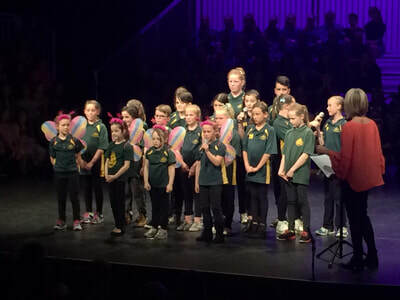 Tauranga Primary Schools' Music Festival 2017 brought together 31 choirs from local Primary and Intermediate Schools to embrace this year’s theme "All Creatures Great and Small." 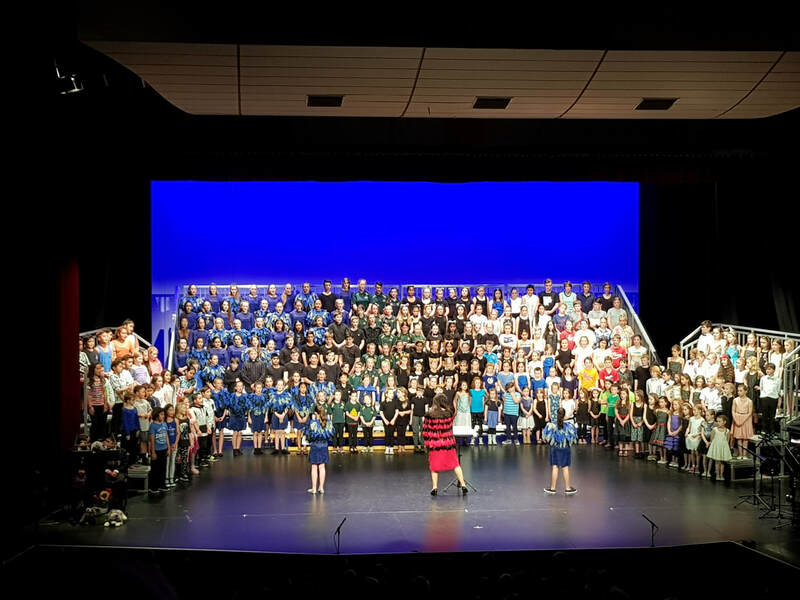 Wednesday 6th September hosted opportunity for our choir to sing classic songs like Beatles "Octopus’s Garden”, Survivor’s "Eye of the Tiger" and a toe tapping medley of "See you Later Alligator / Hound Dog” in a mass choir. They also set the bar for individual school performances. 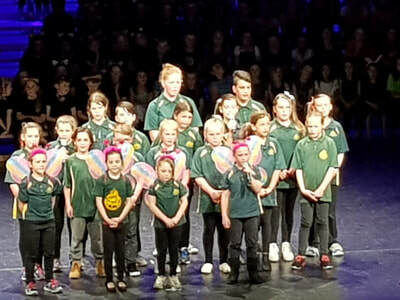 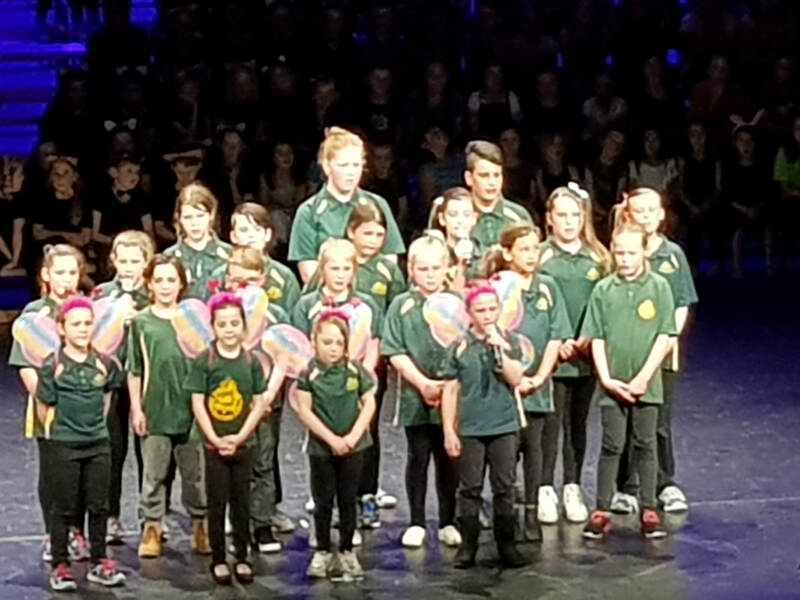 We are so proud of you Whakamarama School Choir. 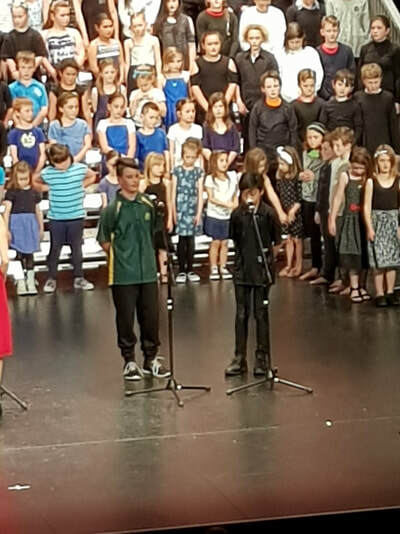 Whilst looking down on you from the audience we could see that you were just too busy being fabulous! 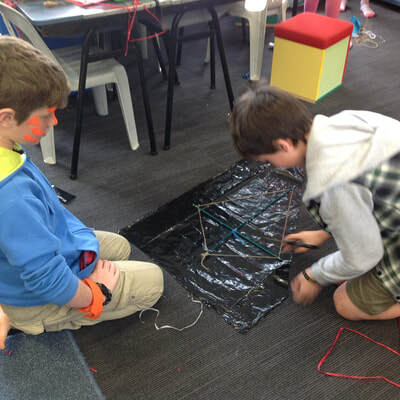 How many people can stand on the board without the balloons bursting? 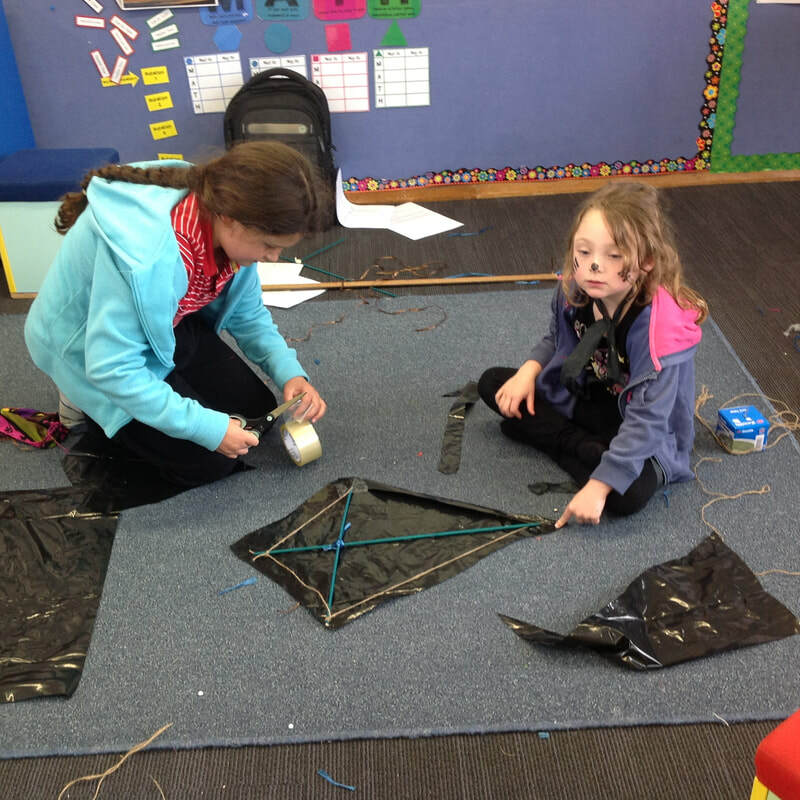 Why did we use partially inflated balloons? What is happening to the balloons under the board? 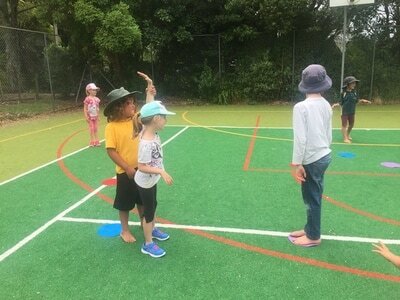 Why did the teacher say not to jump onto the board? If one student stands on one balloon, it will burst. 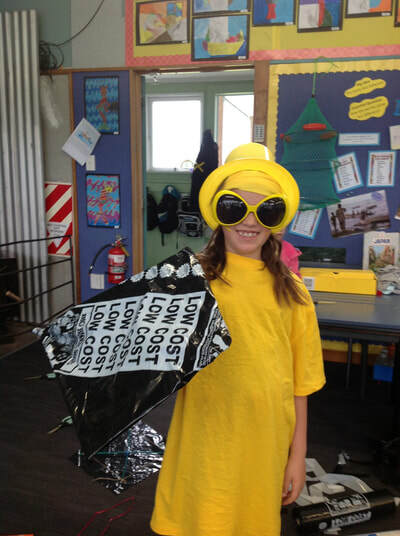 How does putting a board over several balloons increase the balloons’ ability to carry weight? ​Have you ever rubbed a balloon on your head? If you have, you may wonder why your hair stood up on end! ​When you rub a balloon on your head, electrons move from the atoms and molecules in your hair onto the balloon. 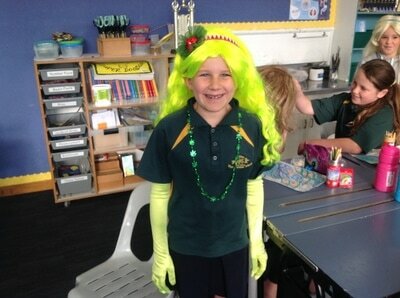 Electrons have a negative charge, so the balloon becomes negatively charged, and your hair is left with a positive charge. 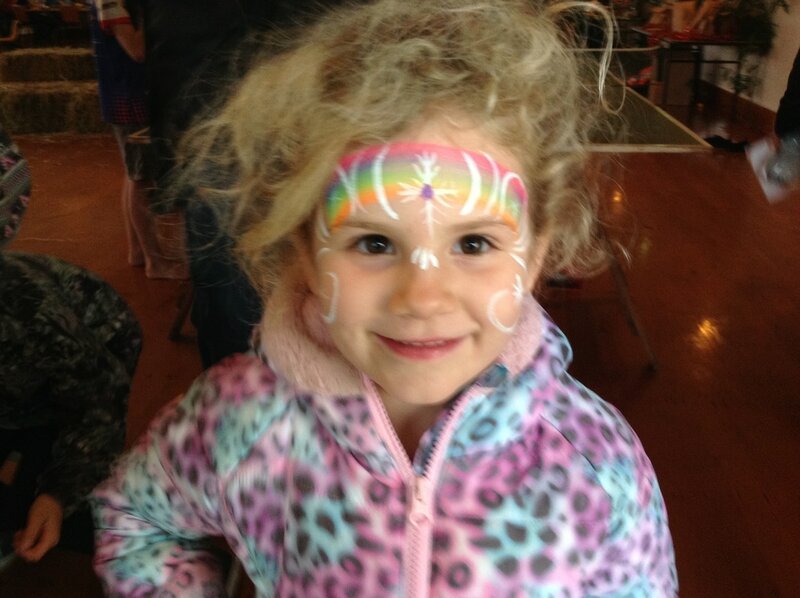 This "separation of charge" is the reason for the collection of effects that we call static electricity. 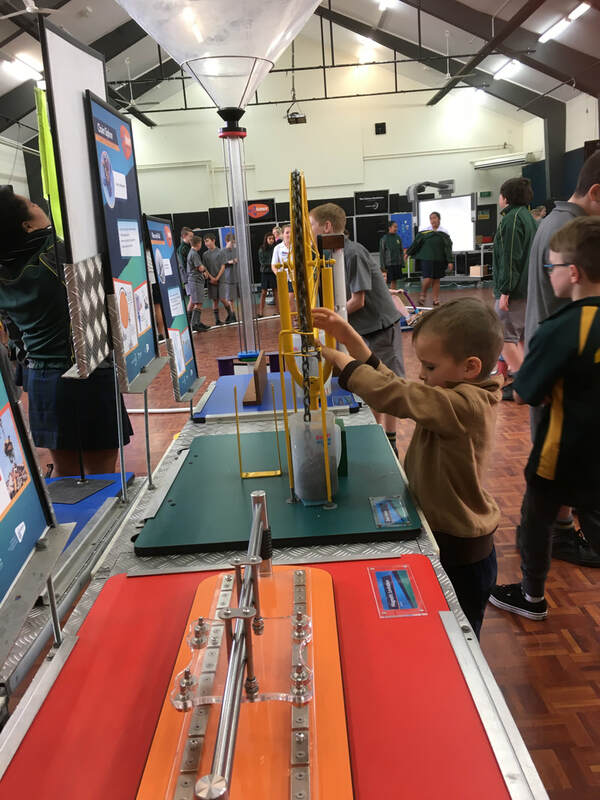 Tuesday 22nd August hosted opportunity for children, teachers and accompanying parents to explore various science and technology concepts by ‘touch and feel’ at the 2017 Science Roadshow. With no doubt a huge factor on the success of the trip came from the involvement of our parents. 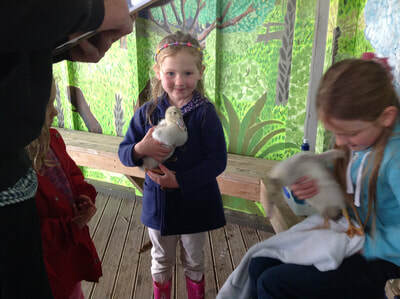 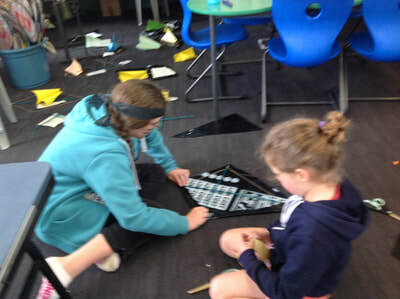 Their interactions, engagement and support within the learning environment made this a special moment for our children. 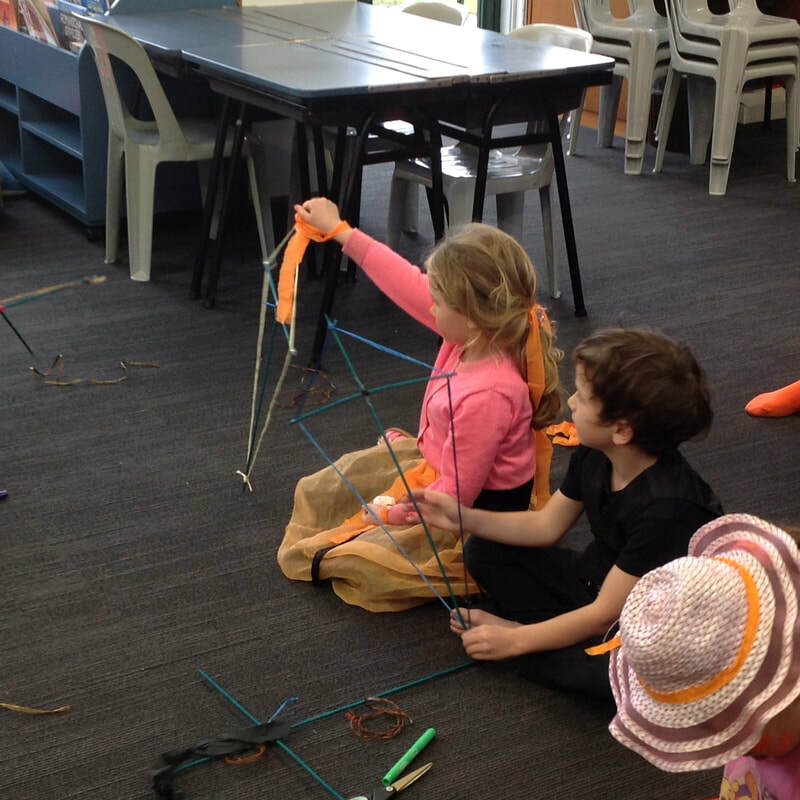 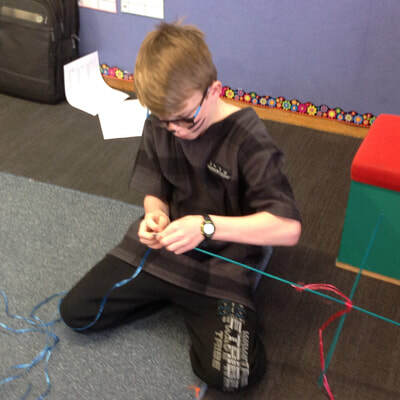 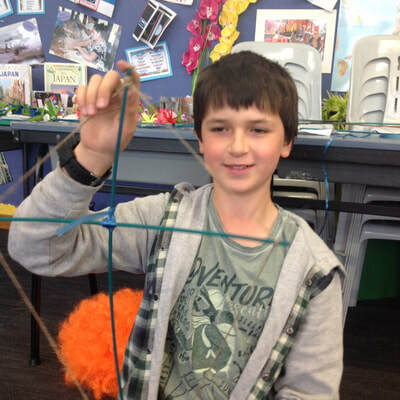 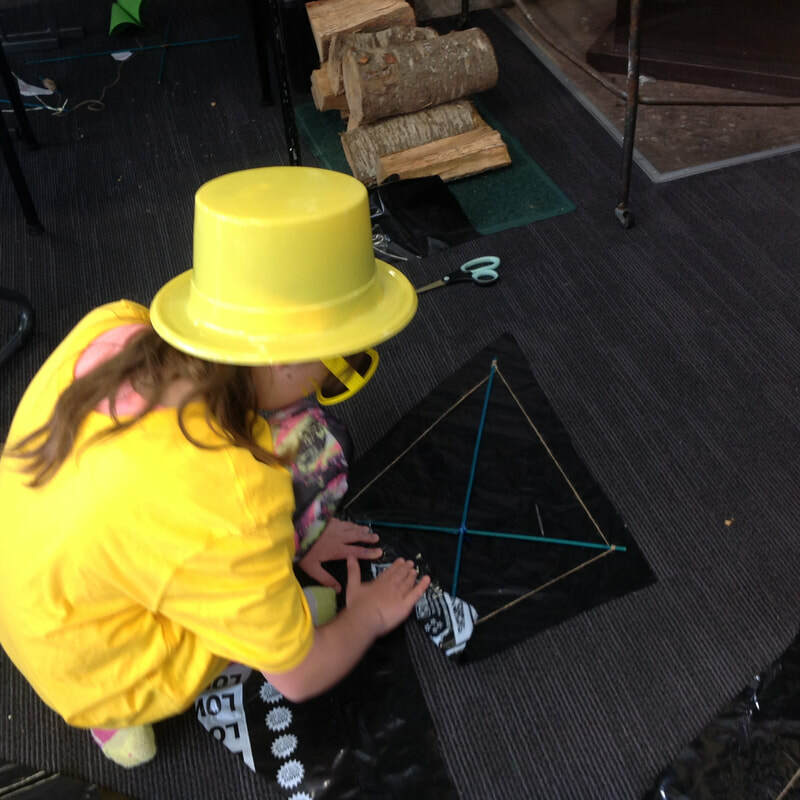 Maths’ Week is a mathematics event that Whakamarama School calendars annually. 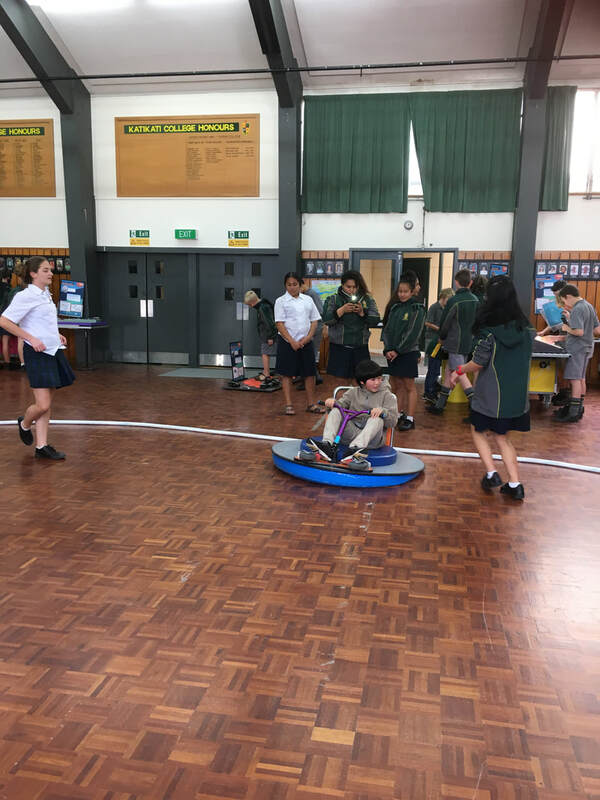 ​​The people and organisations behind maths' week provide a vast array of resources which our students engage with across the week. 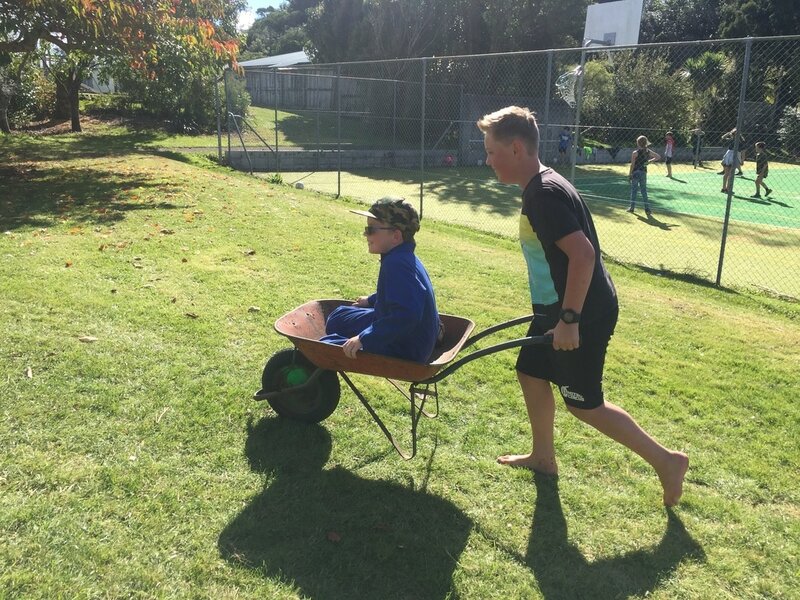 The most favourite being 'The Daily Dollar'. 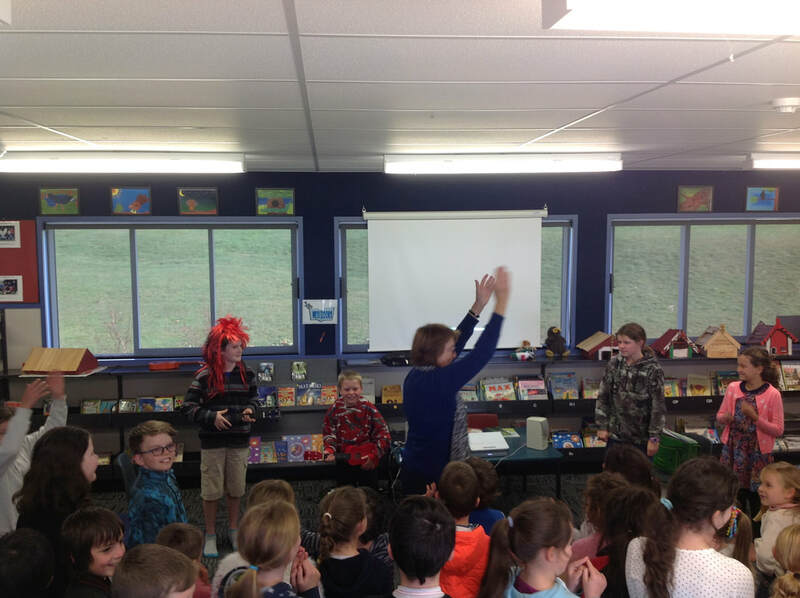 ​Across the week our students earned dollar rewards for their problem solving efforts and the week ended with a high energy auction where every child walked away with a small acknowledgement of their success. 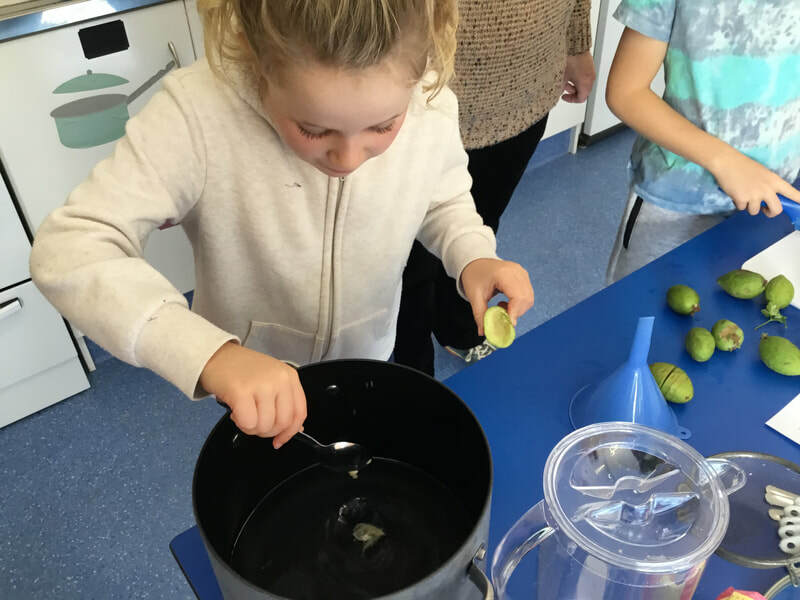 We are so lucky to have a team of teachers and parents who support our children in becoming confident and creative mathematicians. 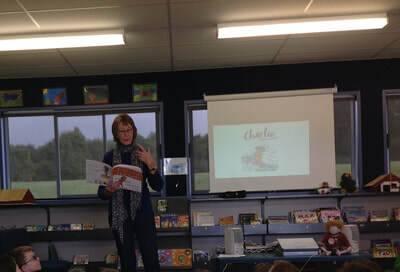 The library came alive on Monday 7 August when the Storylines Story Tour bus dropped off Dawn McMillan. Dawned shared some photos of her home and people in her life. 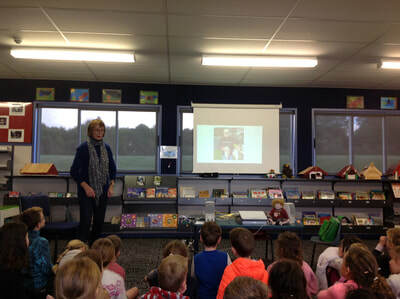 She talked about being an author, read us two of her stories and jammed with us to ‘Smoke on the Water’ with Mr Spears (Joshua) on lead guitar. 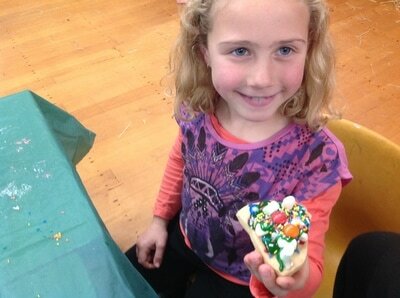 Family, friends and community members united at the community hall to celebrate the winter in Whakamarama style. 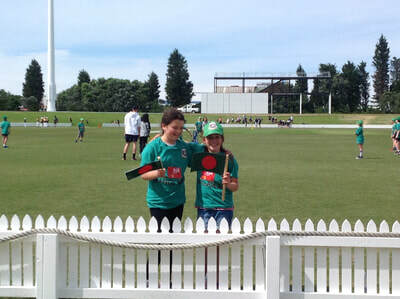 The event started at 3:00 pm with kids fun, food and beverages, spot prizes and competitions. 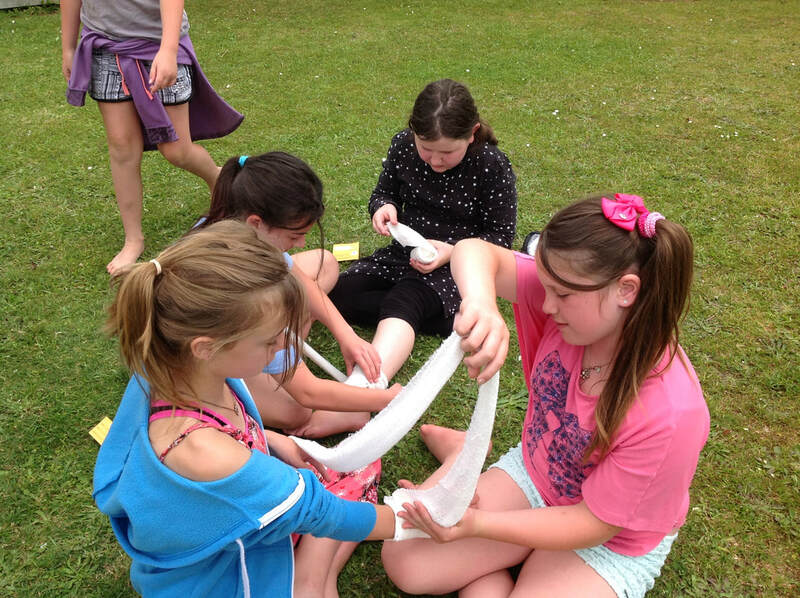 To warm up from the winter elements, young and old gathered around the warmth of the braziers toasting marshmallows. Community spirit resulted in an event that oozed a relaxing atmosphere that was enjoyed by all at our treasured community hall. Launched with a bang in 2016, Child Cancer Foundation brought Wig Wednesday back! 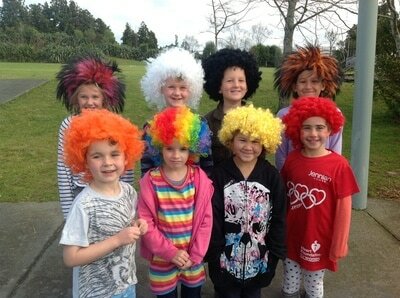 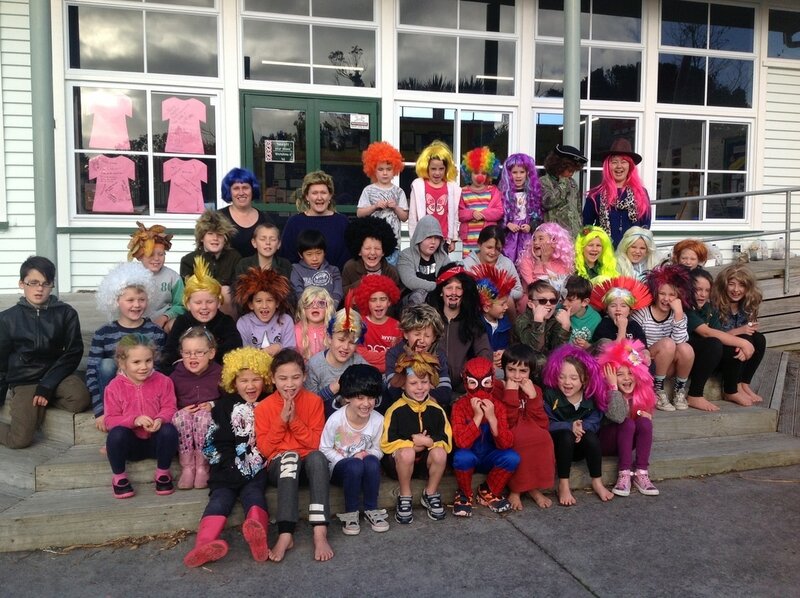 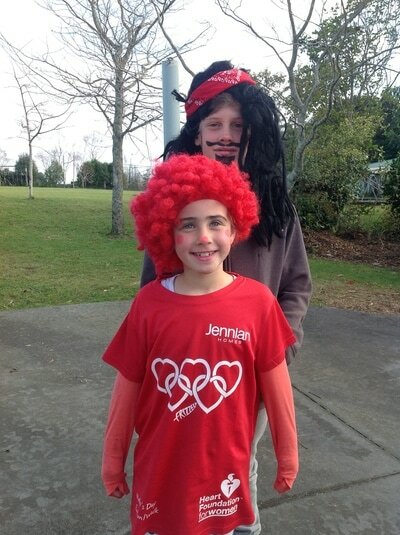 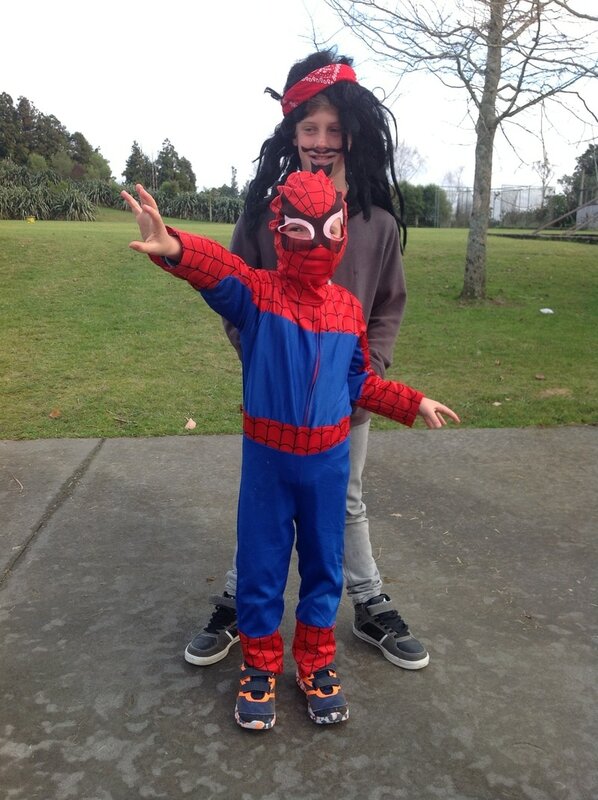 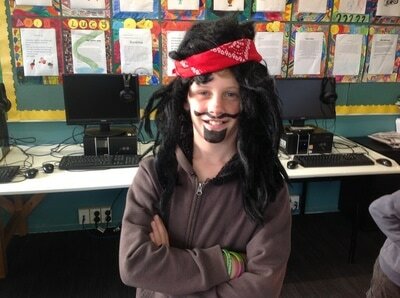 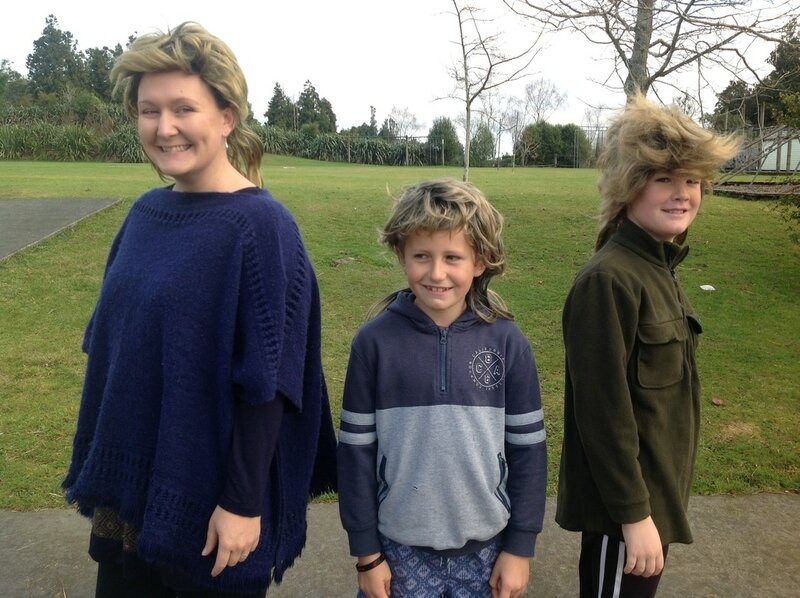 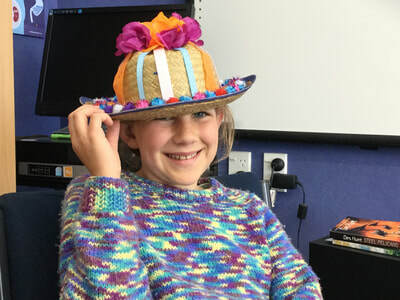 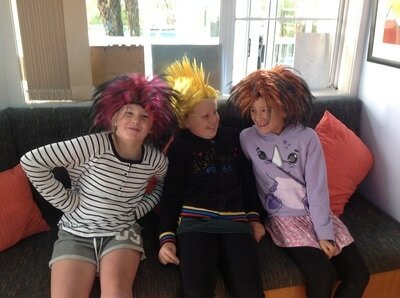 ​On Wednesday 21st June, Whakamarama School students and staff donned a wig for one day to raise funds for Kiwi kids with cancer. 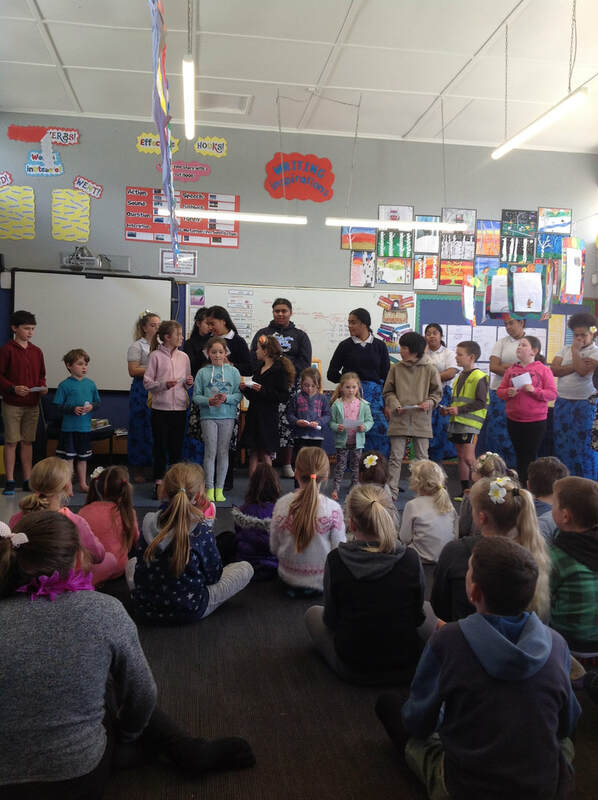 The day supported making a difference; a difference to the lives of others! The first two weeks of June held the opportunity of hosting both the Small Schools and North Cluster Cross Country events. 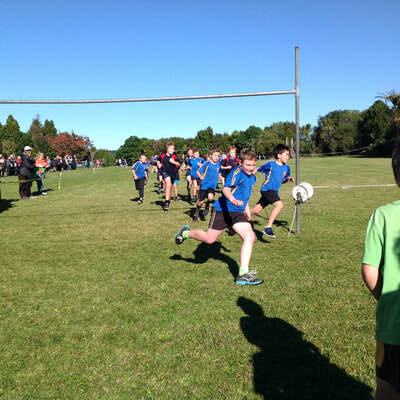 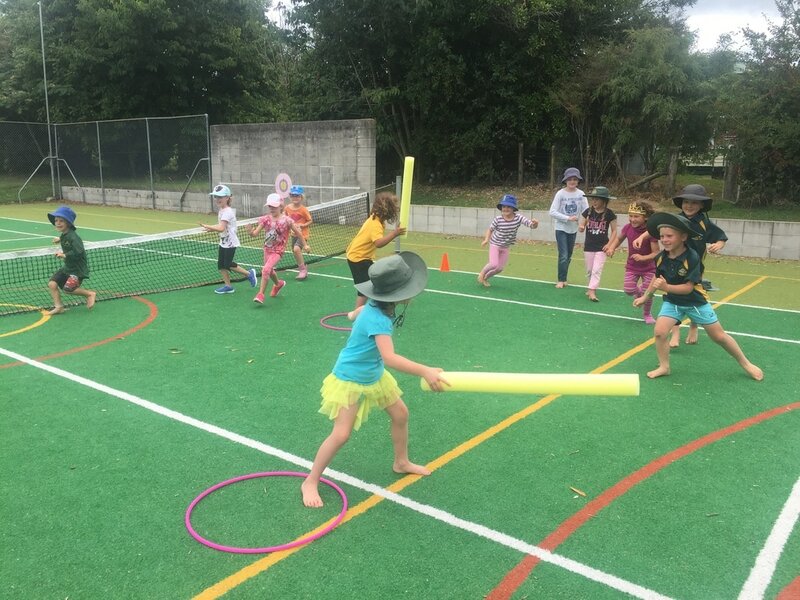 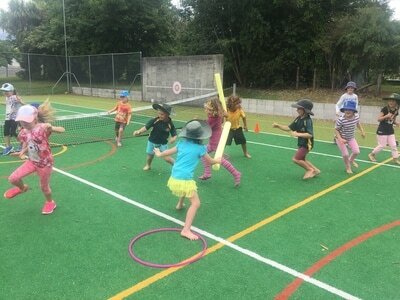 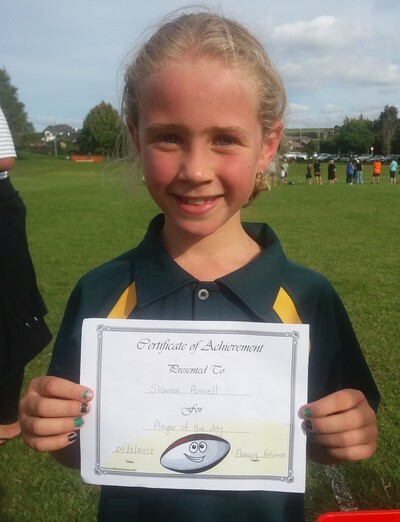 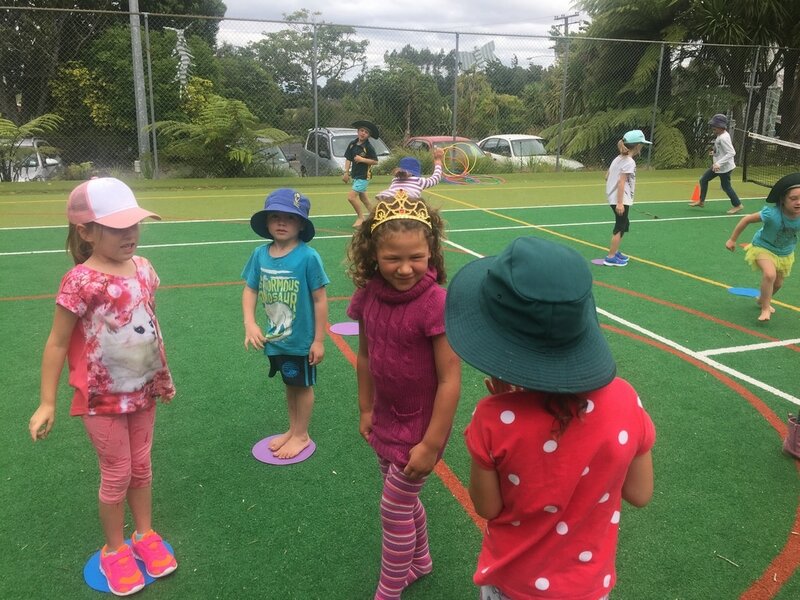 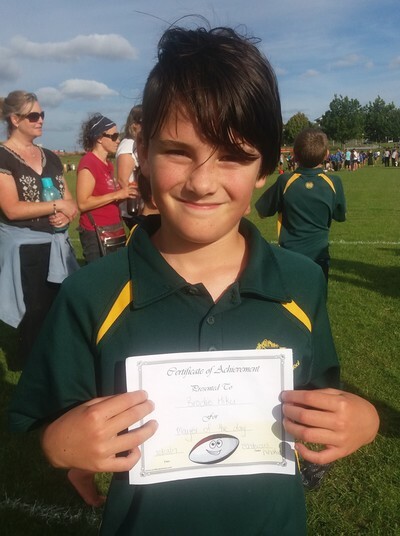 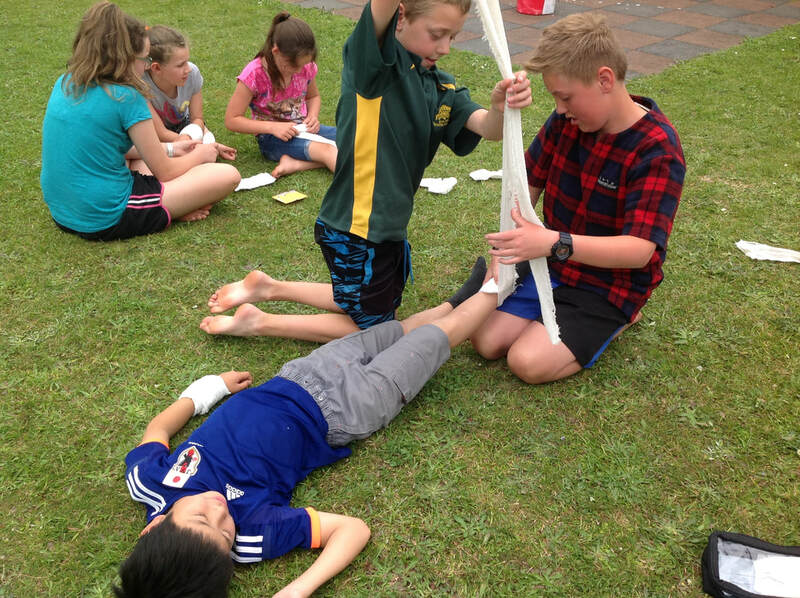 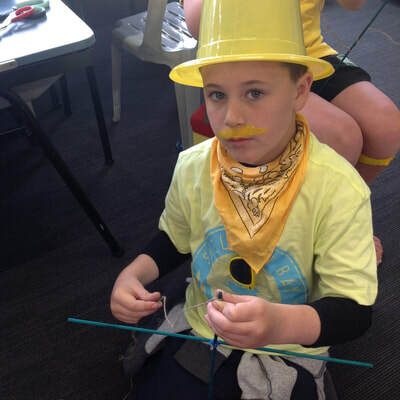 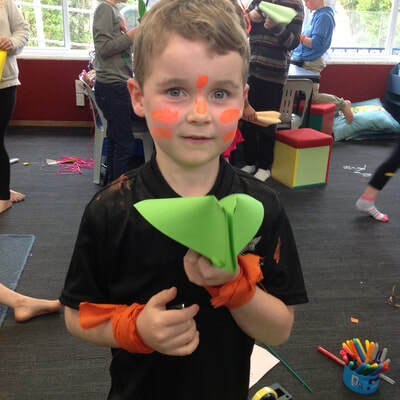 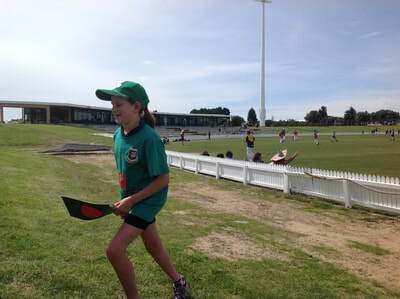 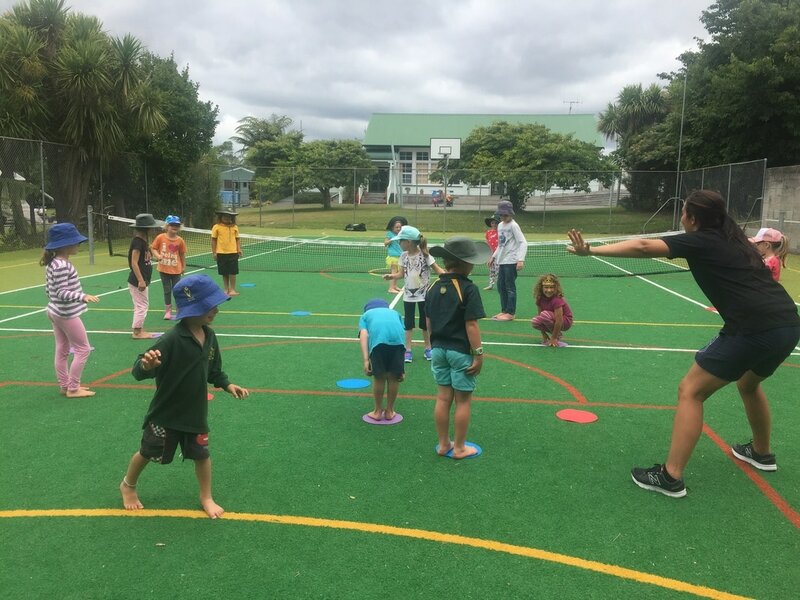 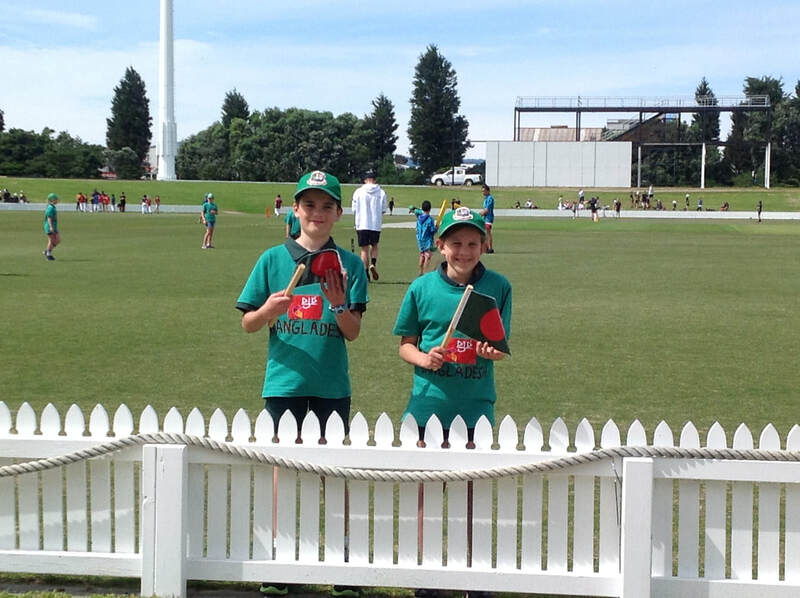 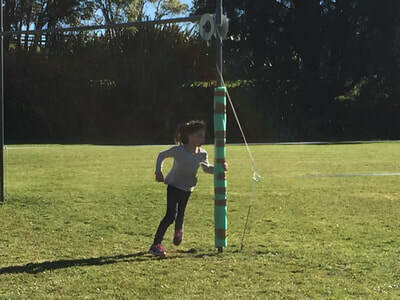 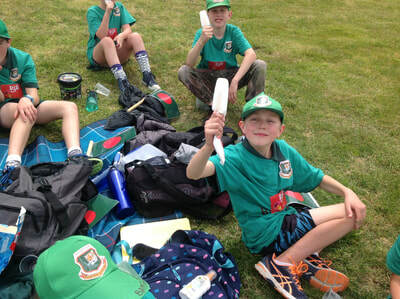 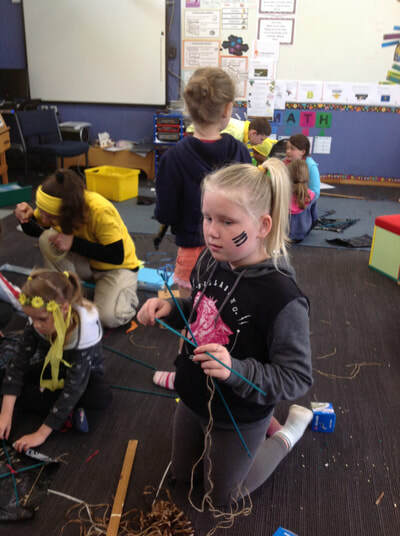 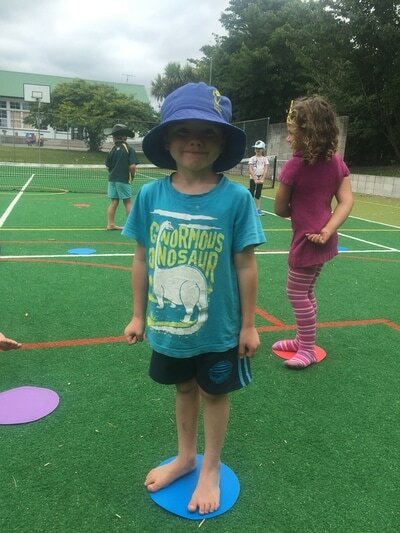 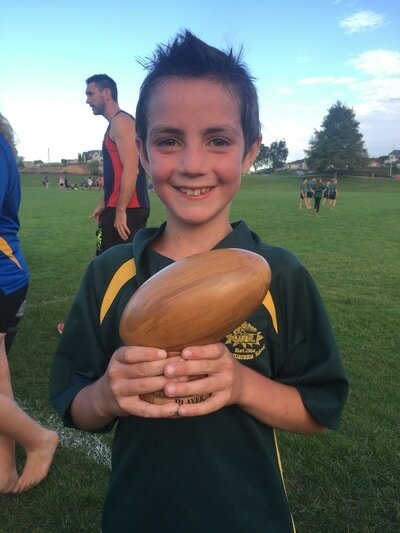 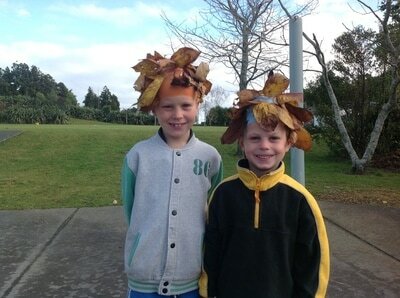 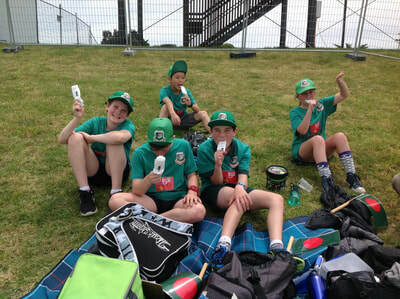 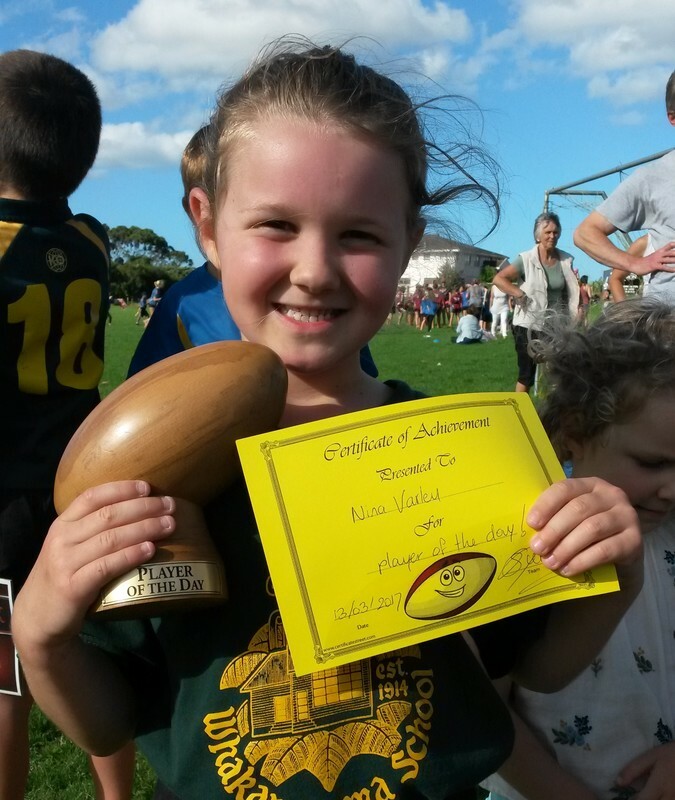 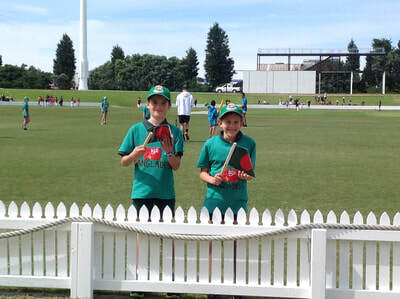 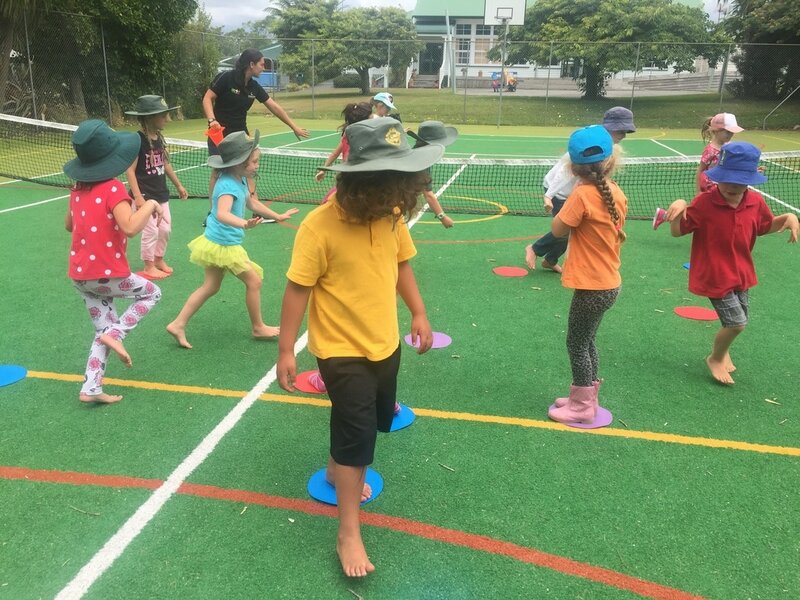 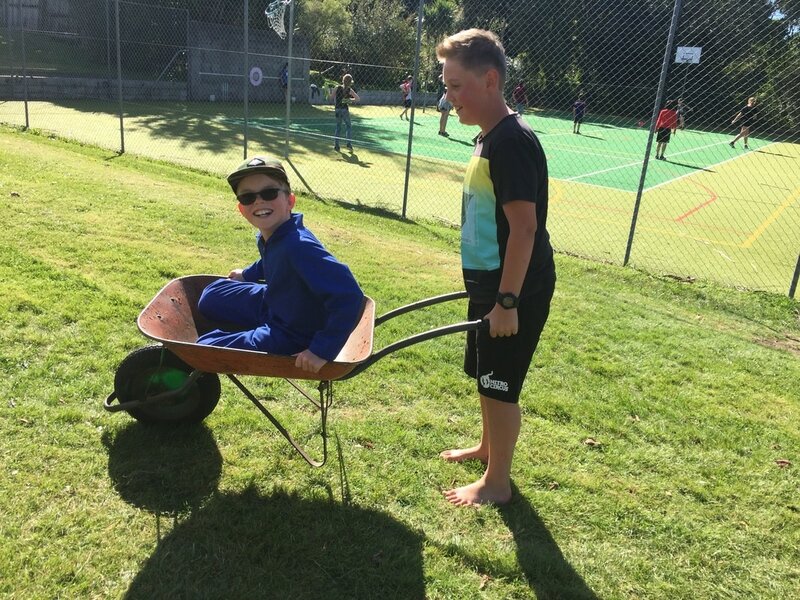 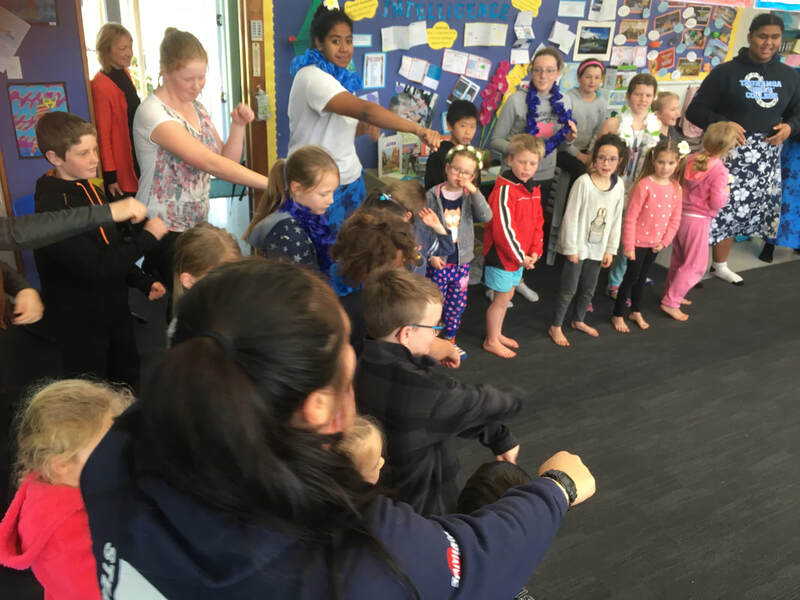 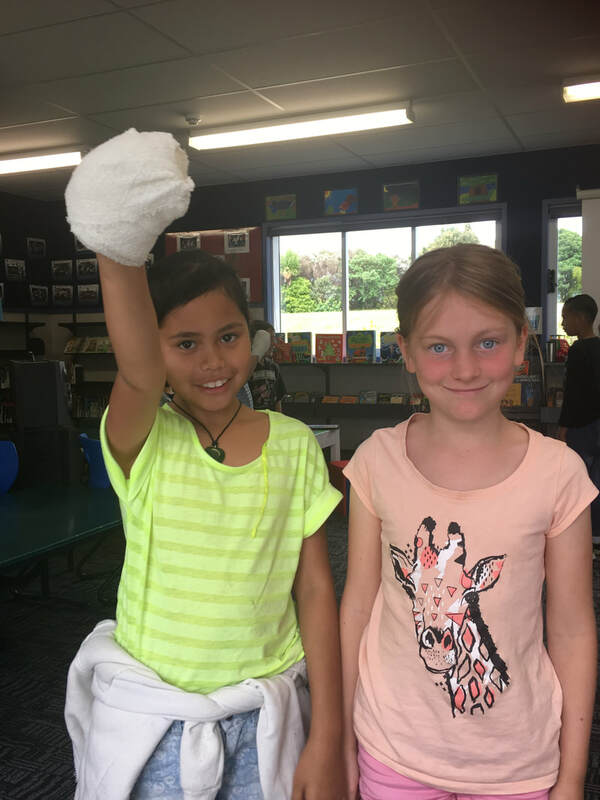 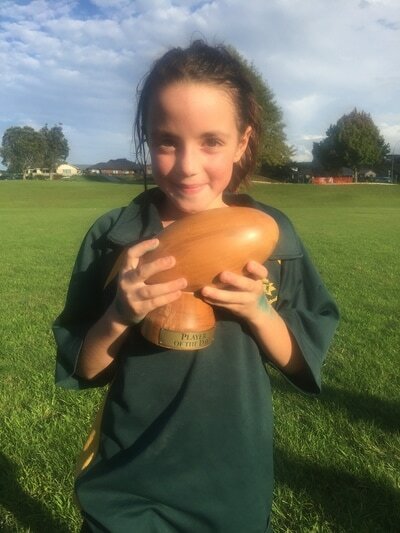 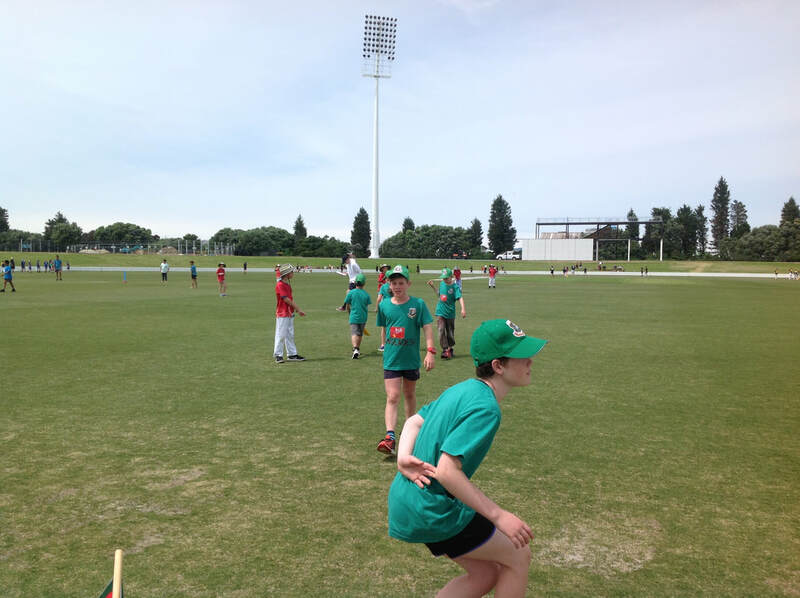 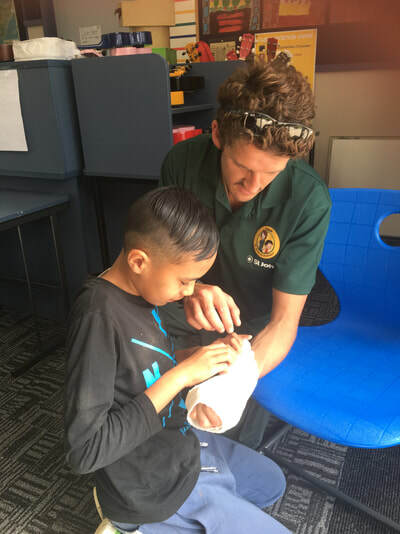 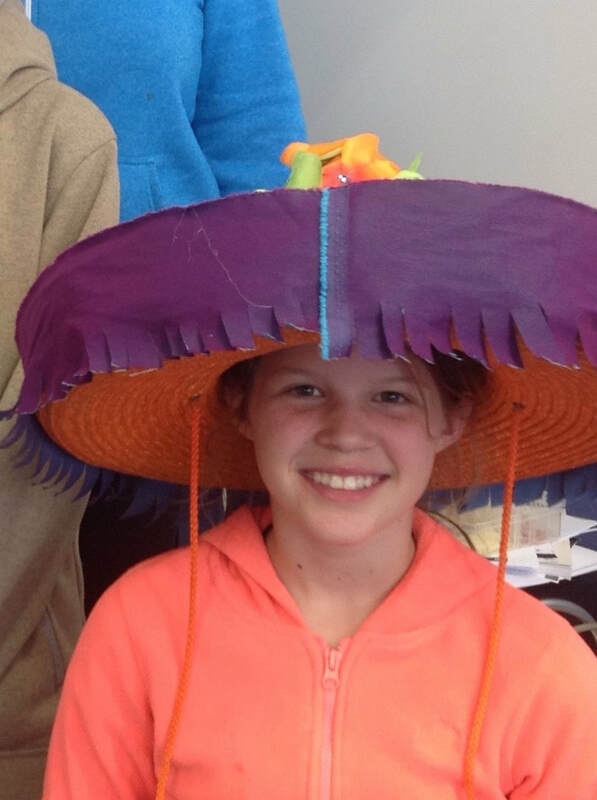 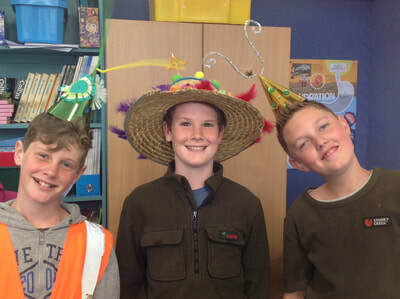 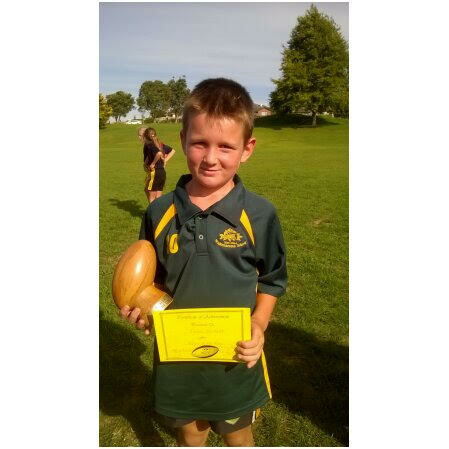 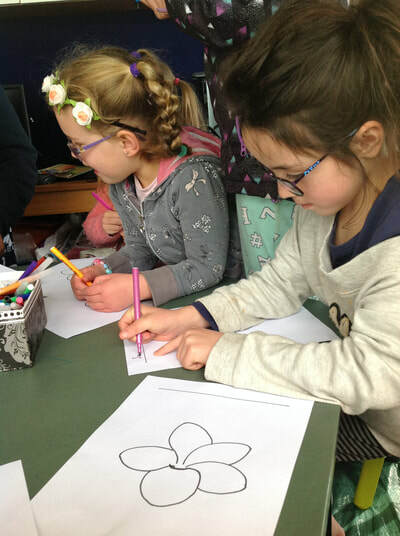 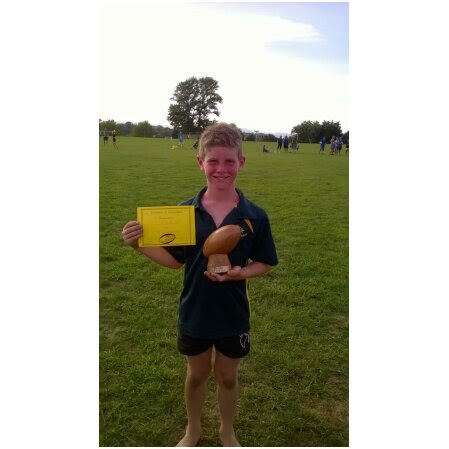 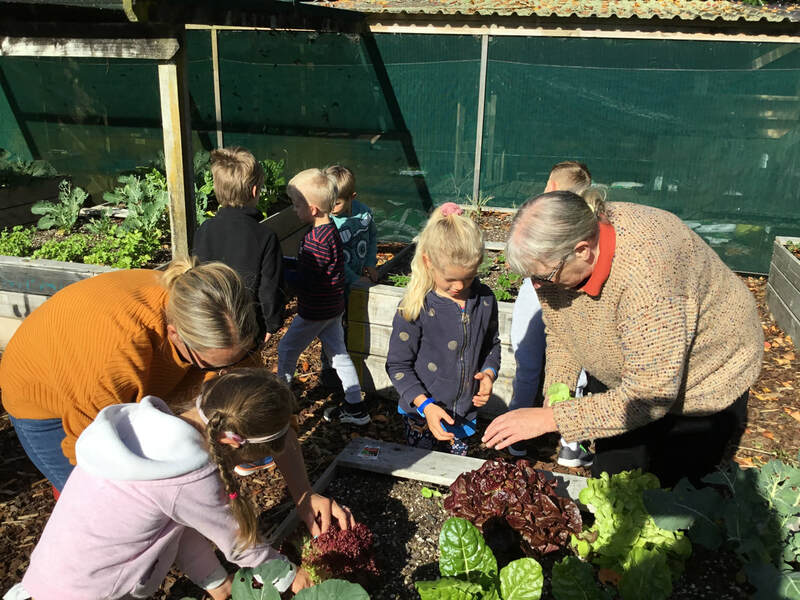 The events provided Year 4-8 students across the Western Bay of Plenty school community with the opportunity to interact with other children of their own age in the sporting arena. 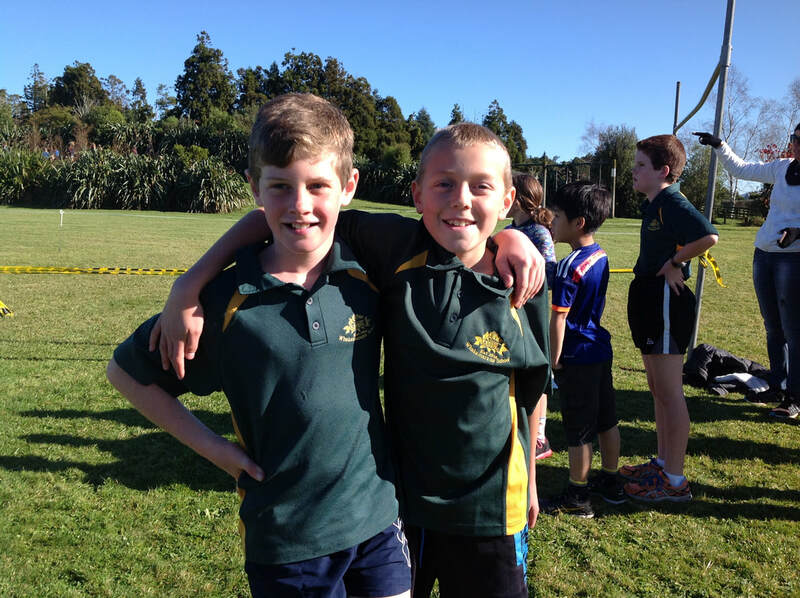 The days would not have been possible without the support that came from principals, sports coordinators, teachers, students, parents and whanau. Involvement on the day can only be described as fantastic. Roles were fulfilled with dedication and unity truly shone through to ensure the day’s success. 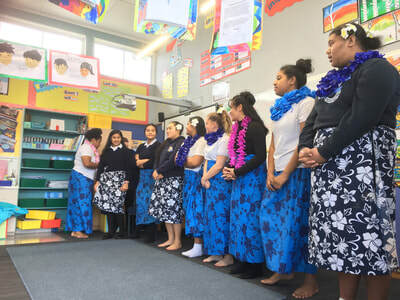 The school’s Maimai cafe ran smoothly across both days and the organisation was a clear indication of the support that is backing our students. The school would like to acknowledge Heller's for sponsoring this year’s supply of sausages. 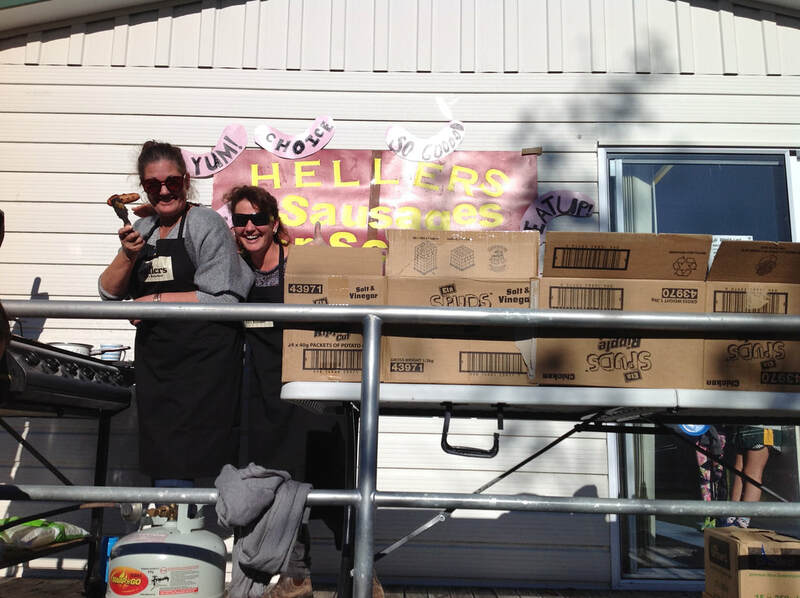 Heller's is a firm believer in supporting community initiatives through donating their award-winning sausages, rather than writing a cheque. 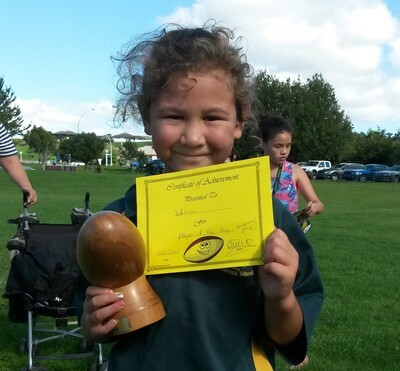 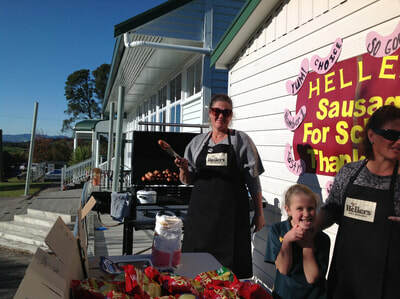 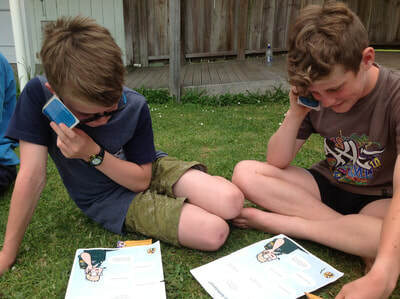 ‘Sausages for Schools’ are about helping more Kiwi kids! 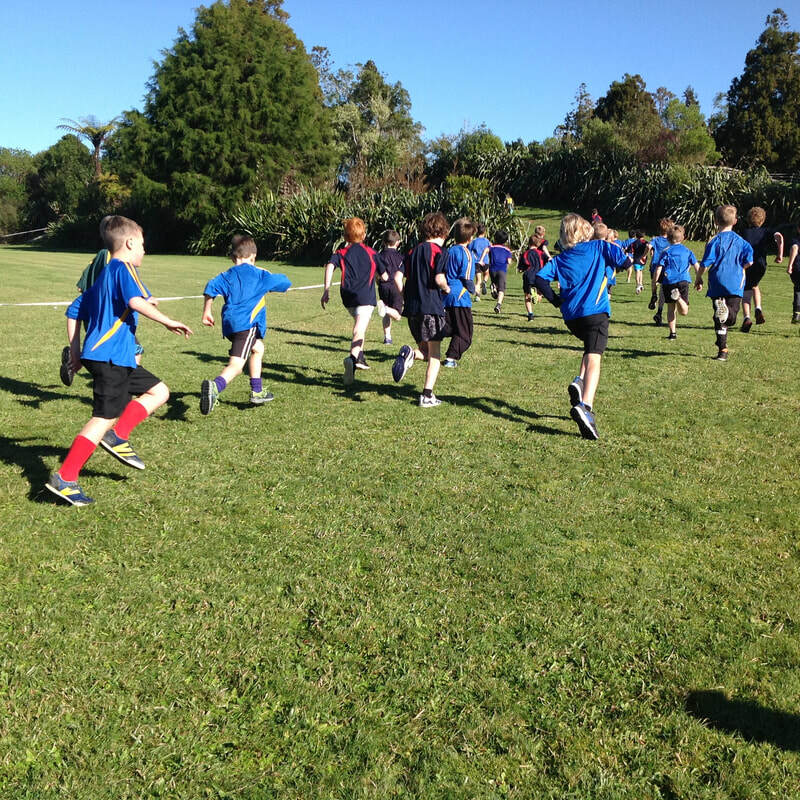 Congratulations to all competitors for their wonderful sportsmanship. 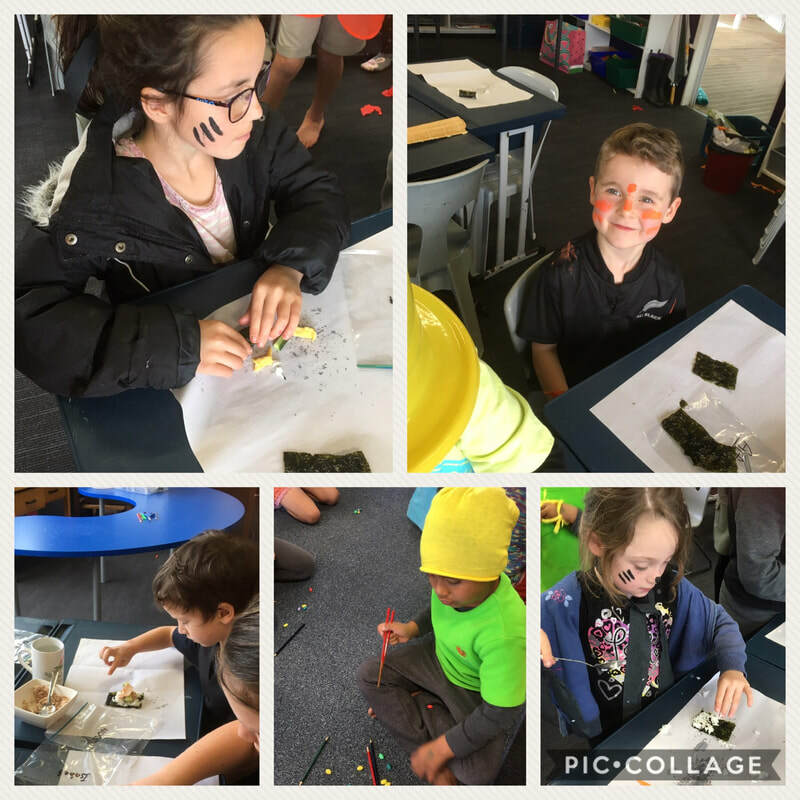 On Friday 12th May the whole school visited Paparoa Marae. 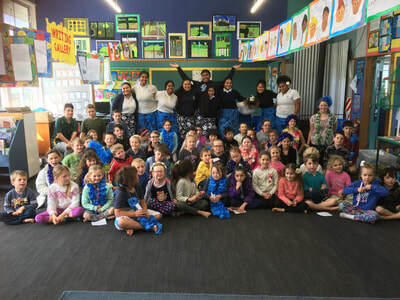 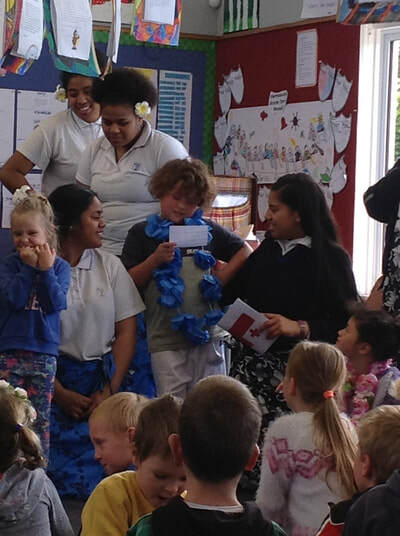 Students, staff and supporting parents / whanau were greeted with a pohiri. 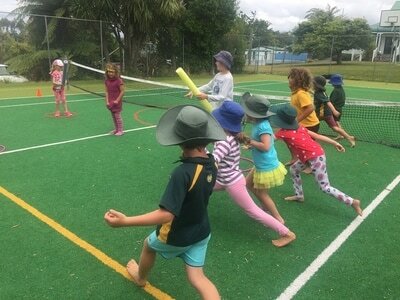 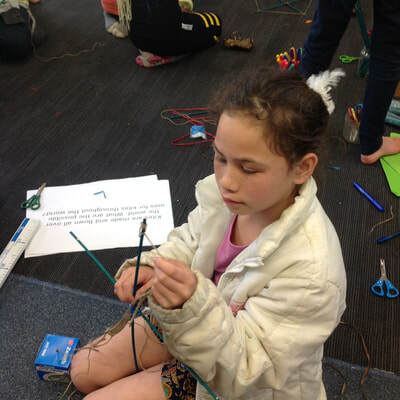 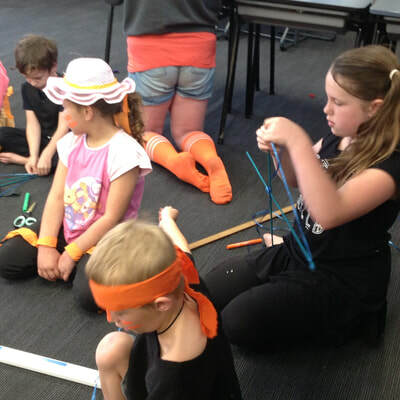 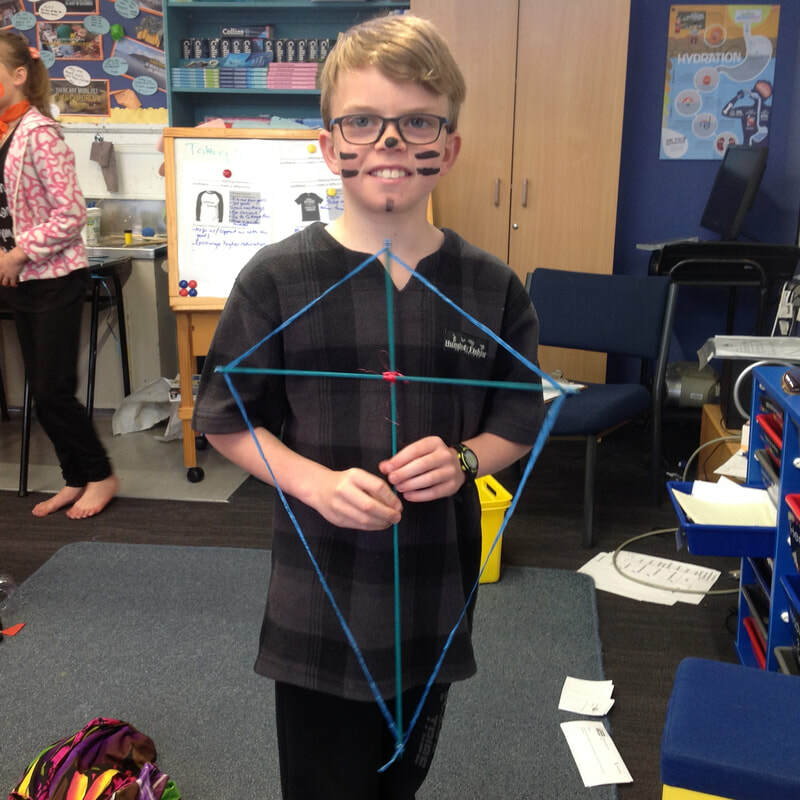 Our boys undertook a workshop for mau rakau (meaning "to bear a weapon", is a martial art based on traditional Māori weapons) and the girls made basic poi and sung a simple poi song. 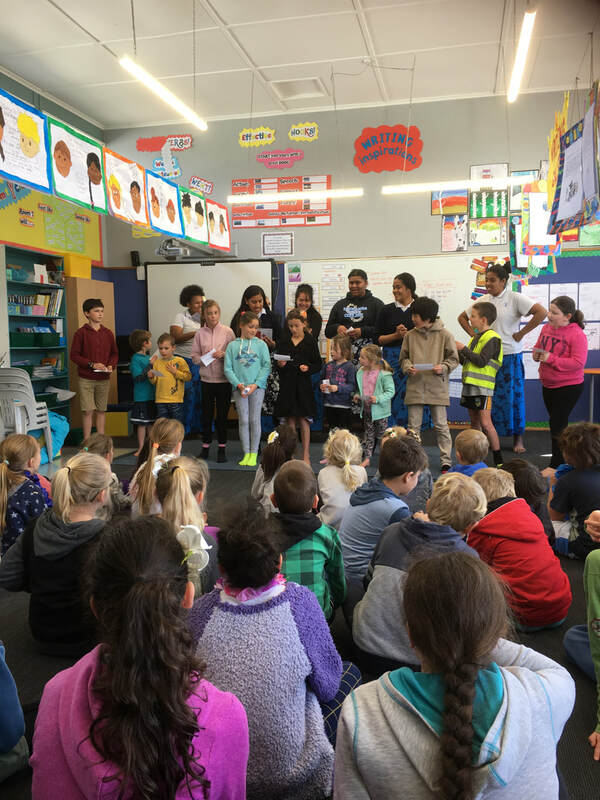 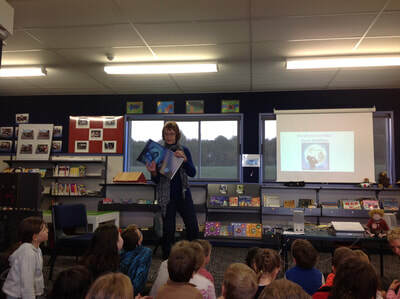 The students experienced storytelling through the medium of the tukutuku panels and design within the wharenui. The day ended with a demonstration of poi and mau rakau. We had a great day - a day of whanaungtanga, kotahitanga and a day of manaakitanga. 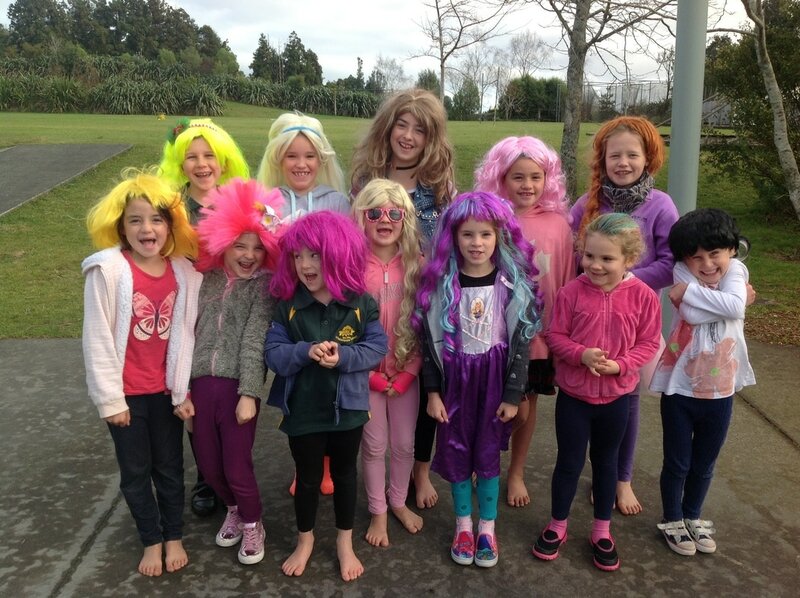 Whakamarama School celebrated Pink Shirt Day and stood together to take action against bullying. 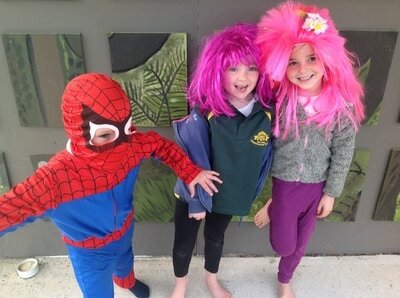 Pink Shirt Day aims to create schools, workplaces and communities where all people feel safe, valued and respected. 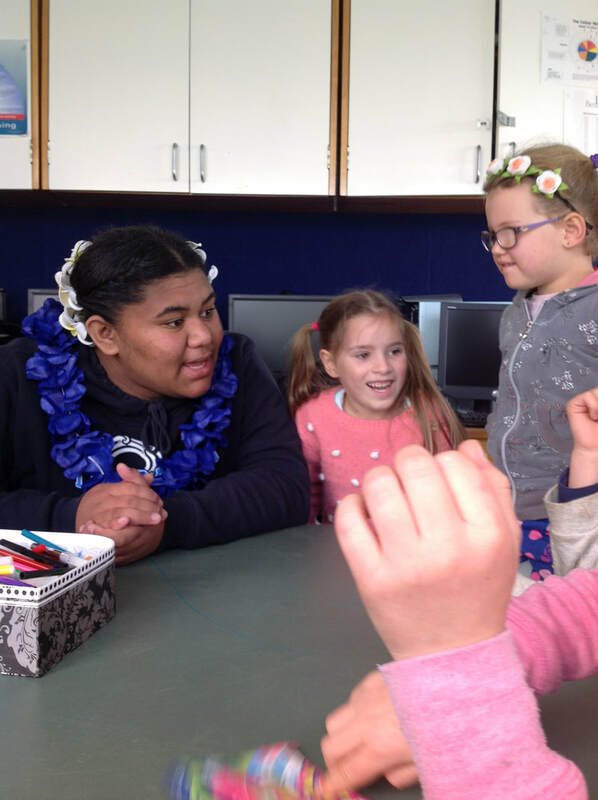 It’s about creating a community where all people feel safe, valued and respected, regardless of age, gender identity, ability, or cultural background. Did you stand up to stop bullying? 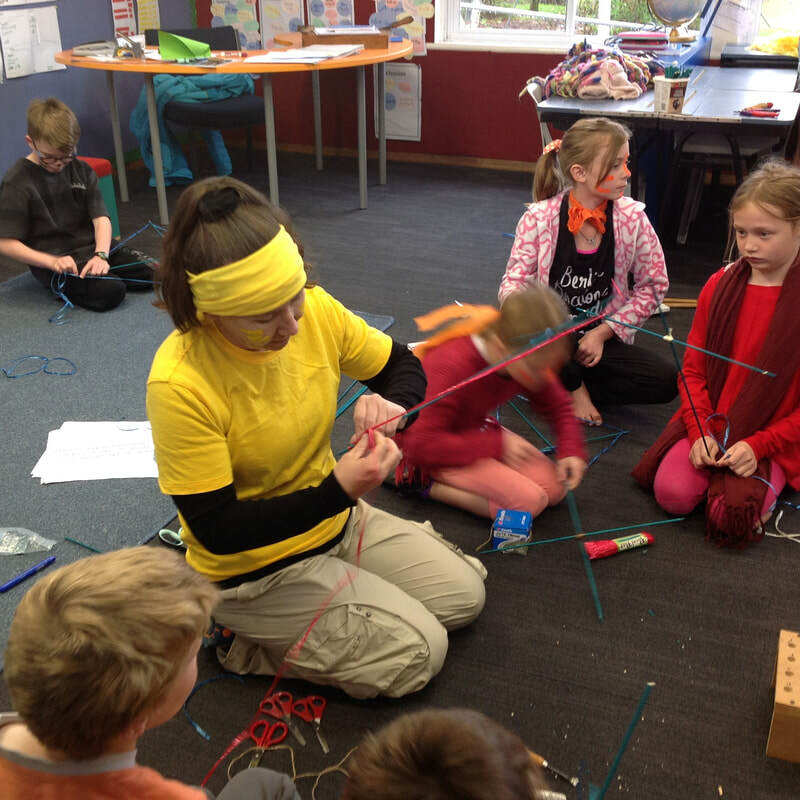 Science resource kits engaging our students in hands-on science activities in the classroom. It is always wonderful to see so many of our students being prepared to step up and take on responsibility that makes a difference around our school. 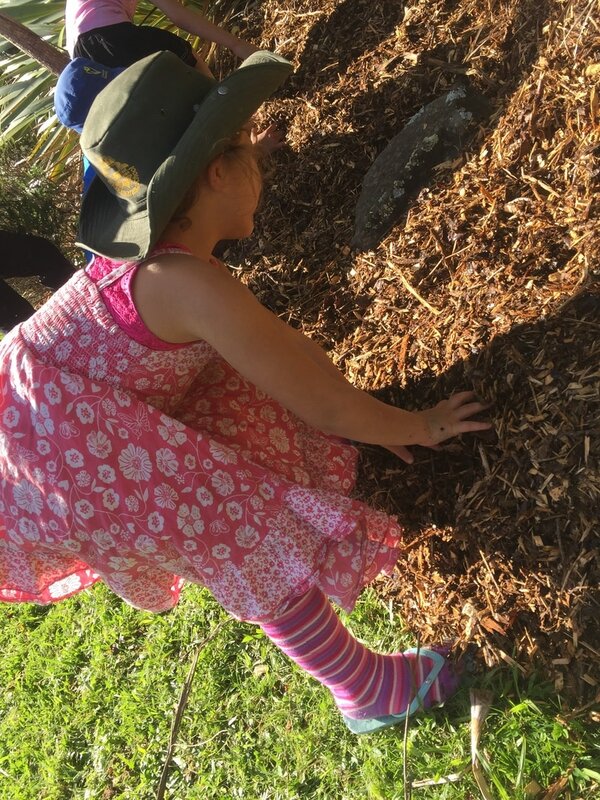 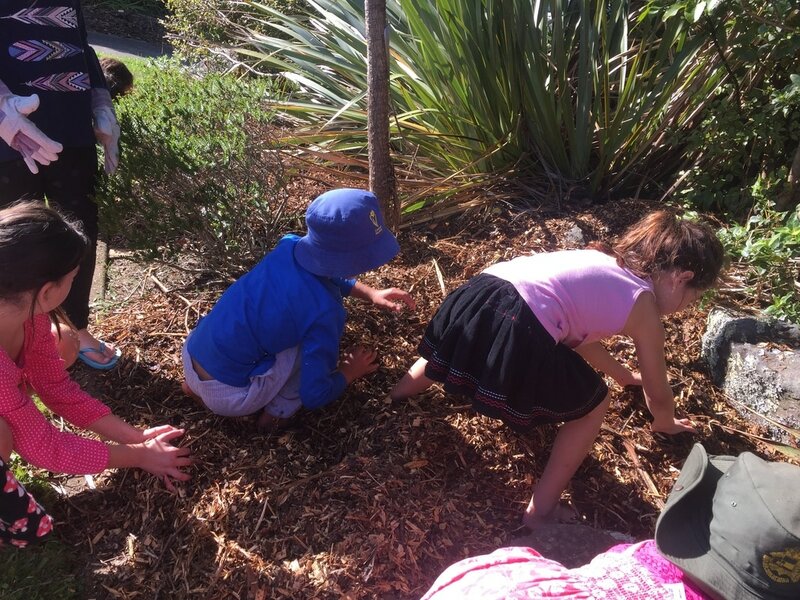 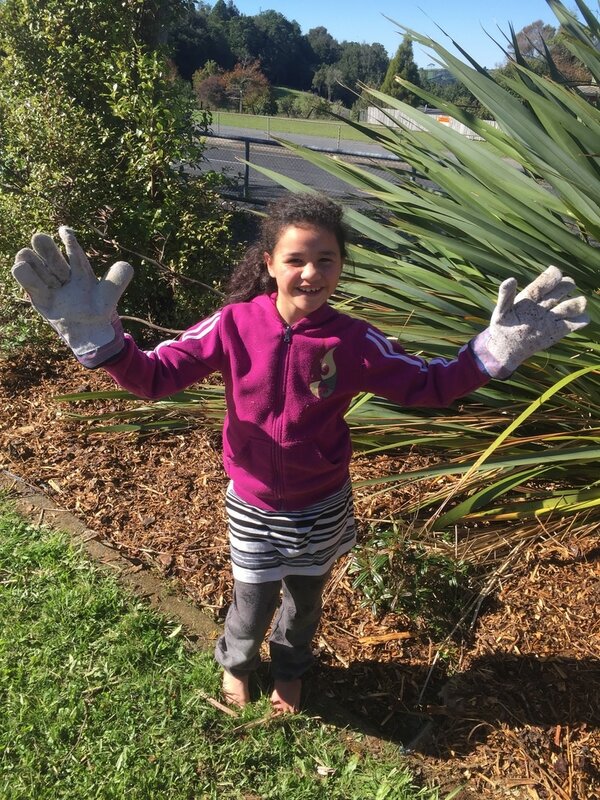 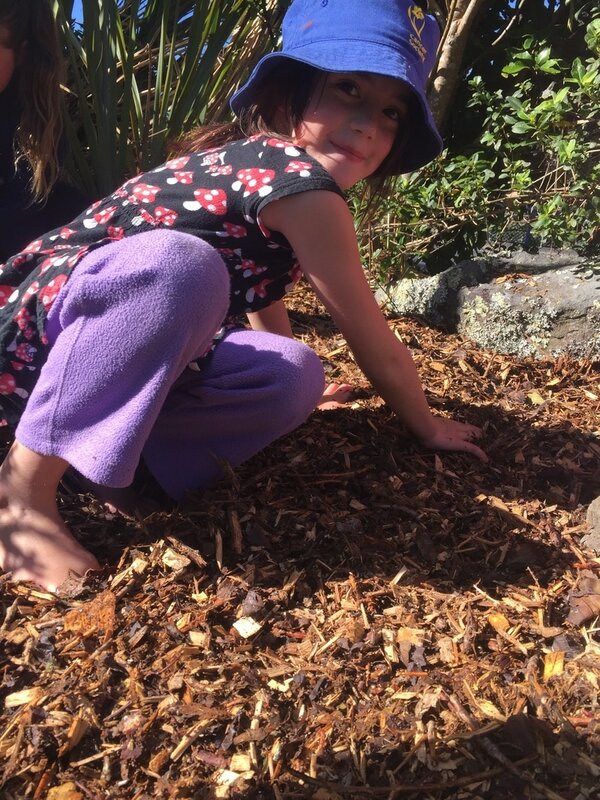 The trees were cut, the trees were mulched and the students made our gardens look FAB! 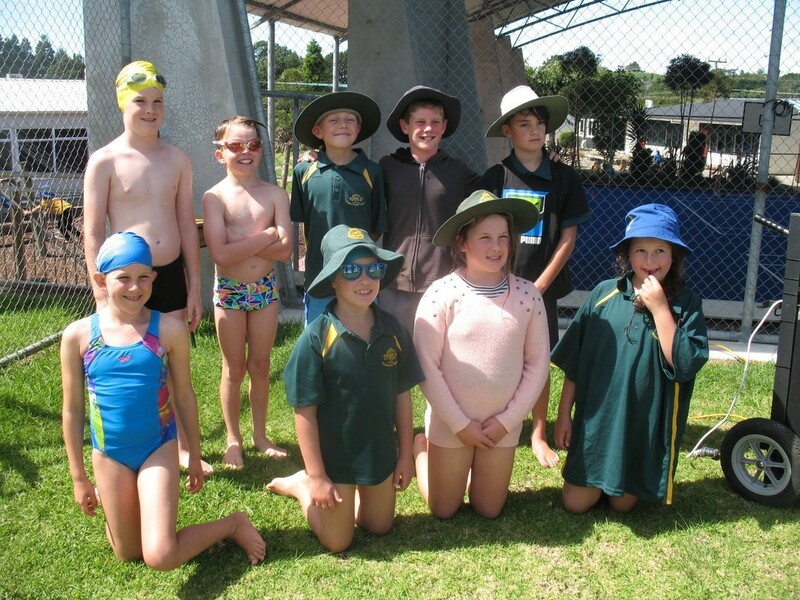 Small School’s Sensational Swimmers: Our Year 5 / 6 squad of swimmers represented their school with pride on Thursday 16th March at the Small School's Swimming Event at Omokoroa No.1 School. 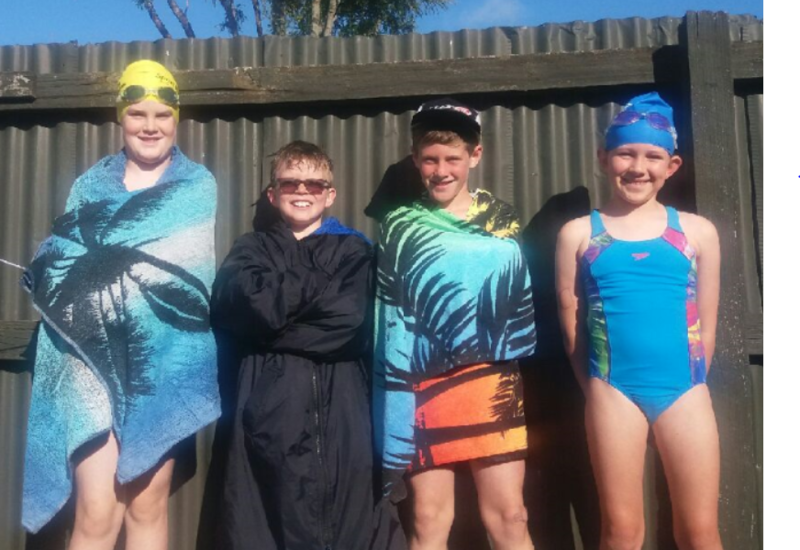 Eamon, Joshua, Anton & Lillia took it to the next level at the North Cluster event. "Every race is an opportunity to measure yourself against your own potential" Well done team! 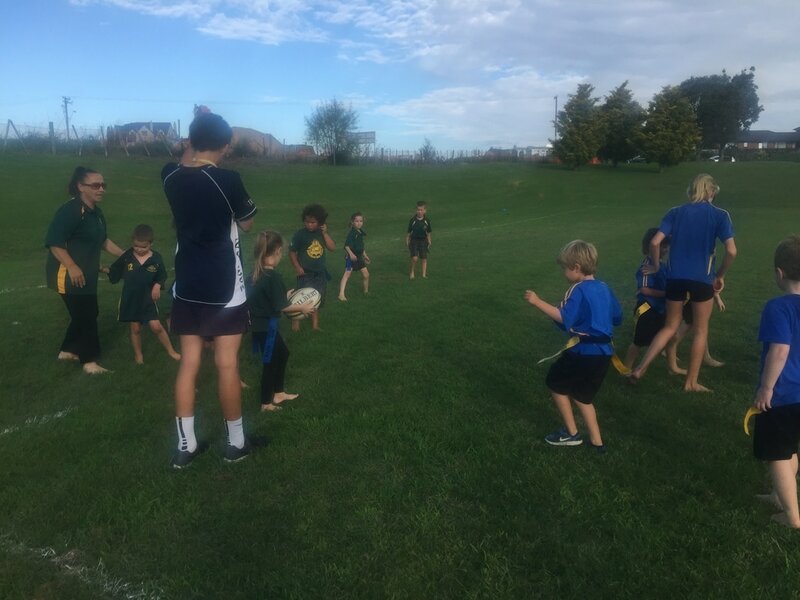 Our vision of ‘A community preparing and empowering lifelong learners who are confident to achieve and make a difference’ truly shone through for the Term 1 rippa rugby season. Twenty seven students making up 3 teams (Year 1 /2, Year 3 / 4 and Year 5 / 6) united down at Omokoroa Sports Ground each Monday. 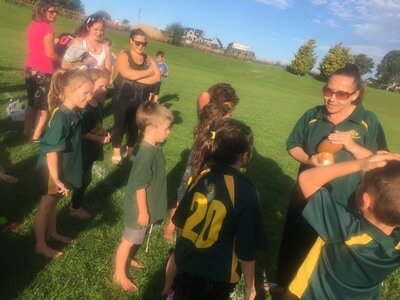 The support from parents was outstanding.